As always, the publication of an article does not necessarily imply an absolute endorsement of the entirety of its content. Robert W. Thurston, Life and Terror in Stalin’s Russia, 1934-1941. (London and New Haven: Yale University Press, 1996). $30.00. 1. 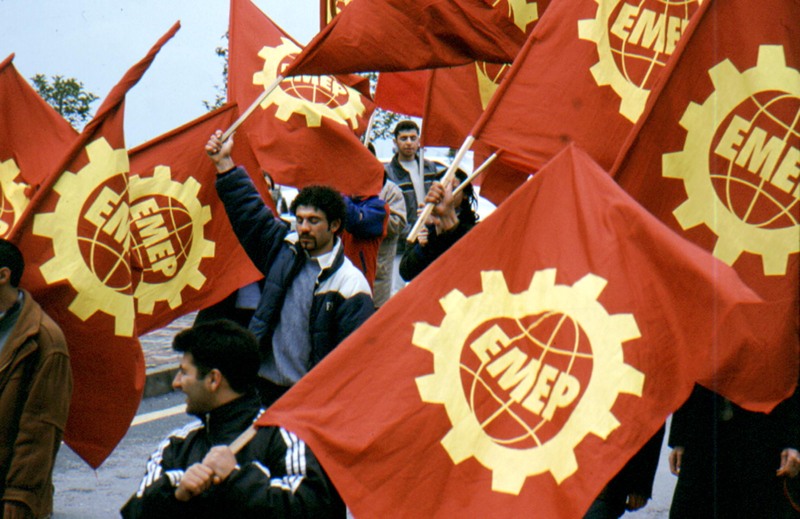 Billions of workers all over the world are exploited, murdered, tortured, oppressed by capitalism. 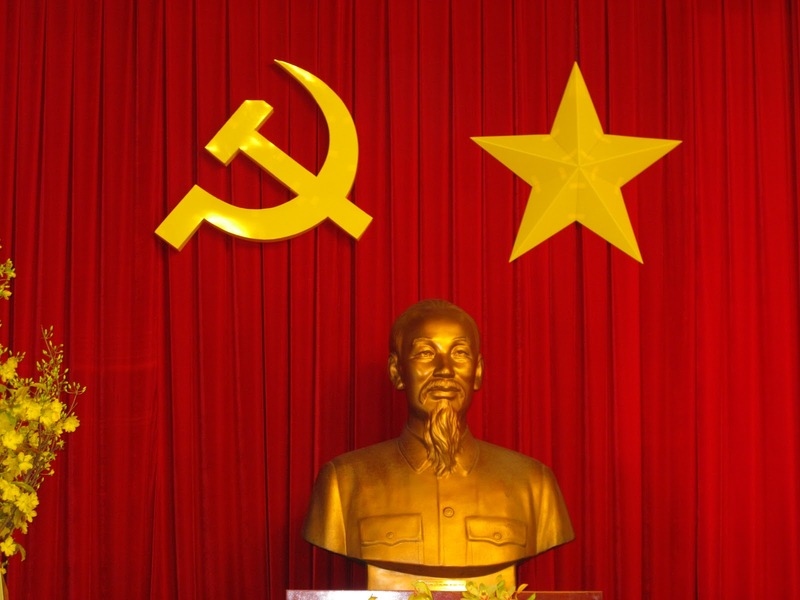 The greatest historical events in the twentieth century — in fact, in all of human history — have been the overthrow of capitalism and establishment of societies run by and for the working class in the two great communist revolutions in Russia and China. 2. 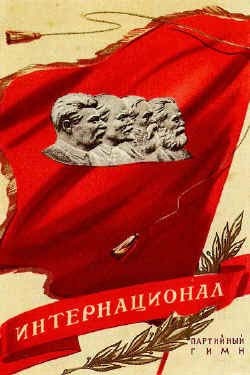 The Russian Revolution was the first of them, blazing the trail for all revolutionaries to come. Its history — its successes and failures — are the essential textbook for all workers and others who recognize the need to get rid of exploitation and build a better world run by those who toil. 3. Naturally the world’s capitalists do not want this learning process to happen! So the ruling class try to spread anti-Communist lies, the purpose of which is to demoralize potential revolutionaries and make us passive. These wrong ideas — wrong both in the sense that they are incorrect AND in that they serve the exploiters’ interests, not the interest of workers — include racism, religion, sexism, and anti- communism. 4. The main form anti-communism has taken for the past several decades has been anti-Stalinism. If workers and others can be convinced that any attempt to build a communist society — one based upon need, without exploitation, run by and for the working class — will end up “as bad as or worse than” Nazi Germany, then we will never really make the attempt. This means we will be reduced to struggling only for reforms under capitalism. This reformism is ultimately acceptable to the capitalists since it leaves them in control forever. 5. A second way the bosses use anti-Stalinism is to justify fascist repression and murder of any workers’ attempts to rebel against capitalism. After all, if “Stalinism” is “worse than Nazi Germany”, and if any attempt to build communism can lead only to “Stalinism”, then any and all repressive measures to suppress revolution are justified, including torture, mass murder, and fascism itself. This anti-communism has been the main justification for imperialist slaughter in the period since World War II, as indeed it had been for the Nazis’ aggression and atrocities. 6. 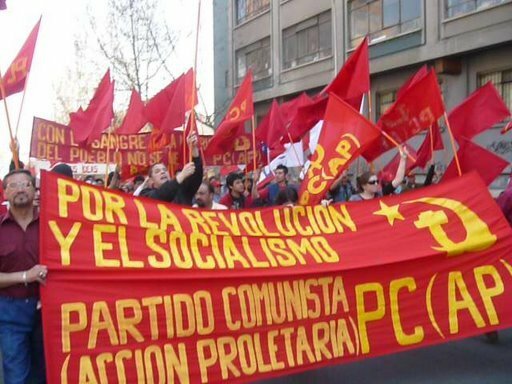 Because it is the main ideological form of anti-communism, fighting anti-Stalinism is therefore a vital, life-and-death issue for the world’s workers — for all of us. This review essay will show how a new (1996) book can be useful in doing just that, and it also outlines some of the limitations of that book. — The mass arrests and executions of 1936-38 in the USSR were not planned, but were panicked reactions to plots against the Soviet government. — These events were not intended to, and did not in fact, spread “fear and terror” throughout the Soviet population, but rather were carried out against perceived enemies with the support and often the active participation of the Soviet population. — The numbers imprisoned and executed were far less that the inflated estimates claimed by anti-Communist sources. 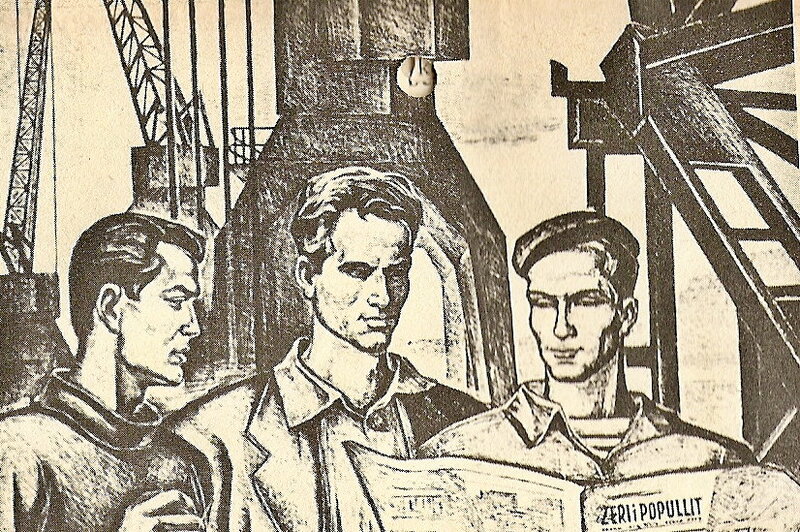 — Rather than being cowed and demoralized by mass arrests and police activity, the growing Soviet industrial working class enjoyed an active voice inside the factories, encouraged by Soviet leaders to speak out about conditions in the plants and outside. — The “acid test” of whether the workers and peasants supported Soviet socialism or were alienated from and hostile to it came with the Nazi invasion. Thurston shows that the Soviet people determinedly repulsed this massive onslaught by rushing either to join the Red Army or the factories to increase military production, while the Red Army fought with a dedication, effectiveness and morale utterly unmatched by the best Western capitalist armies. 8. Thurston’s introduction outlines what he calls the “standard version” (xiv) or “orthodox view” (xvi) of Stalin and the USSR in the ’30s, invoking the name of Robert Conquest — which he will then prove wrong. (Conquest, a former British Secret Service agent, is the foremost anti- communist liar about the Stalin years.) He also points out also how the present capitalist rulers of Russia have every motive to build anti-Stalinism. 9. This chapter also demonstrates that the Soviet legal system was evolving along recognizably capitalist lines in terms of its judicial process during the early ’30s. On the one hand, this contradicts the view of the Cold Warriors that the USSR was “totalitarian”, and this is Thurston’s main point: that the USSR was becoming more “liberal”, giving citizens protection against arbitrary police action, for example. 10. It reveals, however, how much the Bolsheviks relied on Western capitalist models, in the judicial system and elsewhere (education, culture, industry), for models of how to build a communist society. Here, the Bolsheviks’ view of communism was, as we can see now in hindsight, in many respects a “reformed” version of capitalist relationships. Learning from the Bolsheviks’ shortcomings as well as from their own experience, left forces within the Chinese Communist Party later challenged reliance on police and courts with reliance on the working class and poor peasants through political struggle, public trials, and an emphasis on self-criticism and being held accountable to the masses — a process that eventually reached its high point during the Cultural Revolution before it was finally defeated. 11. Chapter Two disposes of some ancient anti-Communist lies. Thurston shows there’s no evidence Stalin murdered either his second wife in 1932 or Politburo colleague Sergei Kirov in 1934. Both of these fairy-tales have been refuted by other scholars before Thurston but are still accepted without question as true by anti-Stalinists. Concerning the three big “Show Trials” of 1936-38, Thurston highlights the evidence that the basic charges against the defendants were in fact true. This was generally accepted even by keen Western observers at the time, like Joseph Davies, sent by President Roosevelt to check out the Soviet government (see his book Mission to Moscow), and confirmed long ago too by staunch anti-Communist scholars like Robert V. Daniels (see his Conscience of the Revolution, 1960). 12. Thurston shows that there was “wrecking” — industrial sabotage — in the economy under Yuri Pyatakov, whose confession to this effect is also shown to have been voluntary, not coerced (46). Even the charges against Nikolai Bukharin, main defendant in the 1938 trial, are shown to have been true in the main, as documents from Bolshevik archives prove (35-42). Thurston also states that some accusations against the defendants were “fabrications”, but he never gives any evidence to support this charge. In fact — though Thurston does not discuss this — it is quite likely that suspicions of “wrecking” were exaggerated by the recklessness built into the industrialization campaign, caused by the emphasis on “increasing productive forces” by sharpening wage differentials, privileges, and therefore class antagonisms: in short, by socialism, the mixture of communist and capitalist elements which communists since the days of Marx’s Critique of the Gotha Program had believed was a necessary interim stage between capitalism and a classless society. 13. 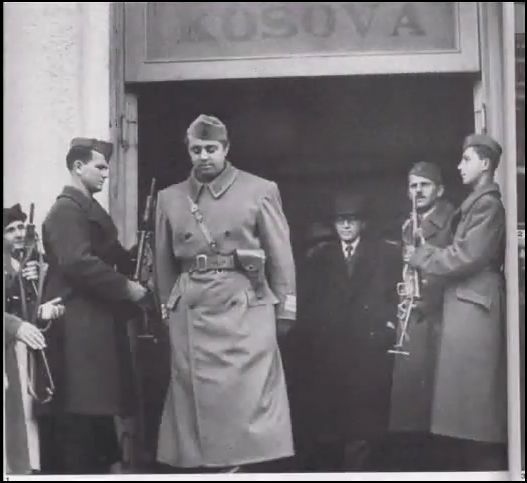 Finally, Chapter Two also reaffirms that the massive arrests did not take place until after the arrests and executions in June 1937 of the military commanders led by Marshal Tukhachevsky. Stalin and the Bolshevik leadership clearly believed there was a real conspiracy, and there’s much, though not conclusive, evidence that such a conspiracy indeed existed. Chapter Three demonstrates that the Soviet government reacted in panic to the disclosure of such high-placed treason. There’s no evidence at all that Stalin was out to “terrorize the country”. 14. Nikolai Ezhov, the leader of the political police (or NKVD), was the person most directly responsible for the massive arrests and executions. Usually demonized by Cold-War historians, Ezhov was a long-time Communist with an honorable record, a worker since the age of 14, before being entrusted by the Politburo with the task of directly overseeing the repression of what all believed to be a massive counter-revolutionary plot. 15. Ezhov set high quotas for executions, which the police felt had to be met. There were many examples of police arresting and executing people either to “meet quotas” or from outright corruption. Recent research by Thurston ‘s colleagues suggests that between six and seven hundred thousand persons were executed during 1937-38. (See the article by Getty, Rittersporn, and Zemskov in American Historical Review, October 1993). 16. A few comments are in order here. First, the concept of “quotas” for executions appears to come from Lenin’s practice during the Civil War, although Thurston does not say so. After the Bolsheviks revolution privileged and propertied people throughout Russia opposed the Bolsheviks and Red Army, and White (anti-Communist) forces routinely executed Communists, workers who supported them, and all Jews. Under Lenin’s urging the Bolsheviks would take hostages from among the upper classes, threatening to execute them if the Whites opposed them. 17. It should be clear that such “quotas for execution” were completely inappropriate in a situation in which the Bolsheviks held state power and could confine anyone suspected of anti-Communist activity until their cases could be investigated. Such executions, whether of the guilty or, as was inevitable, of the innocent as well, serve no mass political function, as would public trials, investigations, and a concept of justice based upon the direct participation of the working class — an issue noted by Vyshinsky himself. 18. Anti-Communist “scholars” have repeatedly produced fantastically high figures for Soviet executions and jailings during the “purges”. Thurston challenges those inflated numbers with strong archival evidence. On page 137 he explicitly states that the inflated estimates are too high. On page 11 Thurston has a chart showing there were 1,196,439 camp inmates in 1937, a slight decline from the previous year (this included criminals as well as those arrested for political crimes, but does not include prison inmates). For purposes of comparison, we should note that this is much smaller than the US prison population today! While it seems clear to us now that many of those prisoners charged with political crimes (104,826, or 12.8% of the total) were not in fact guilty, that prison population is a long way from the Cold-War anti-Communist “guesstimates” of between 7 and 15 million prisoners — and some guess much higher still, 20 or 30 million! 19. Thurston shows there were, in fact, other real anti-Soviet plots in addition to the “Tukhachevsky Affair” (mass arrests and executions of military officers), including some spies within the NKVD itself. He also provides overwhelming evidence to show that the arrests targeted elite sectors — managers, specialists, intellectuals, party officials, and not “workers or poor peasants, the favored children of the new regime” (76). Naturally communists should not support unjust accusations against anyone, regardless of their class background. What this fact shows is that socialism — the continuation of capitalist relations of production and a capitalist notion of economic development — involved the continuation of class antagonisms under somewhat different forms, class antagonisms that found expression in the mass arrests and executions. 20. Thurston puts these events squarely in the context of the aftermath of the extremely violent years of 1914-21 (the beginning of World War I to the end of the very bloody Civil War) and, more immediately, of the sharpening international situation of the late ’30s, when Nazi Germany and all the imperialist countries were unmistakably bent upon surrounding and destroying the USSR. “They kept on urging the Germans to go farther and farther east: ‘You just start a war against the Bolsheviks, and all will be well'” (quoted in Alexander Werth, Russia at War, p. 39). 22. Also left out is the Nazi decimation of the German Communist Party, the largest in Europe, beginning in 1934. In 1936, when the Soviet “purges” began, German Communists were being tortured and murdered by the thousands in German concentration camps, and similar treatment was being meted out to Communists and workers in dozens of other capitalist lands — as, in fact, it still is. Little wonder that the Soviets weren’t prone to treat too kindly those it considered to be German spies and agents! 23. And Thurston repeats, time and again, what his sources show him: the Soviet government favored workers and poor peasants over all others in the population, while they were being exploited, killed, etc., in every other country in the world! Thurston’s own evidence shows that the USSR was a “dictatorship of the working class”. 24. Some police agencies treated evidence as very important, though many did not. Conditions in the labor and punishment camps, the so-called “Gulag”, Thurston argues, were bearable both before and after the period 1937 to 1938, but very bad during this period, reflecting the fact that most police, and even prisoners, were convinced those arrested during this time were traitorous conspirators who deserved the worst treatment. 25. By January 1938, Thurston shows, complaints of unjustified repression were flooding the Central Committee, and the Plenum began to demand that expulsions from the Party be reviewed for unfairness. The next month Andrei Vyshinsky, formerly the head prosecutor at the “Show Trials”, complained about conditions in the labor camps and demanded punishment of camp officials who permitted bad conditions. He also insisted that those who fabricated evidence be arrested. In fact a number of trials of such fabricators did take place this year and the next, often with great publicity. 26. The need to pay greater attention to physical evidence, as opposed to confession, was re-emphasized. By the middle of 1938 the great period of panic, mass arrests, and executions was over. Police procedures were regularized; conditions in the camps improved; many of those falsely arrested were released and exonerated. Trials of NKVD men who had tortured and framed people were held, and the NKVD purged of such people. 27. Certainly the Soviet state was justified in acting to arrest preemptively, in times of crisis, anyone suspected of treason. But there was no reason for executing people on the same flimsy basis; they could certainly have been imprisoned pending a serious review of their cases. Had this been done, many or most executions would not have taken place. 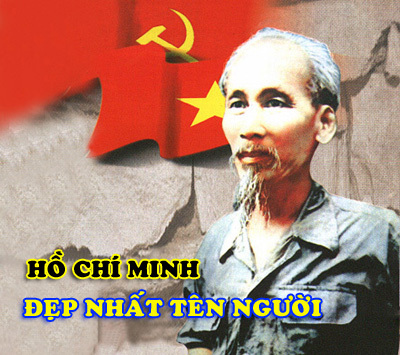 What is more, well-publicized trials of those who were guilty, with evidence publicly given, would have raised political consciousness, as did the Chinese Communist Party’s public trials of landlords in the period after their seizure of power, in which peasants openly accused those who had exploited and murdered them. 28. Chapter Six, “Life in the Factories”, shows that the Stakhanovite movement was, in fact, a mass movement which gave all workers the opportunity to gain recognition for improving production and technique, rather than a cynical way of “speeding-up” the workers, as it has been described by anti-Communists. Thurston argues that, in fact, Stakhanovism gave workers more power. Workers’ views and criticisms were respected; supervisors and foremen ignored them at their peril. 29. But here too we see that “socialist” relations of production were basically a reformed version of capitalist relations of production. While acknowledging the communist, collective aspects of the Stakhanov movement, we can see in retrospect how it inevitably became associated with speed-up, given the retention of a wage system. Thurston’s book neglects this aspect of the movement. 30. Thurston quotes some American workers who had also worked in the USSR as saying that conditions of work, and the atmosphere in the factories, were better for Soviet workers in the 1930s than for workers in the US (192). But he then undercuts their view — far more informed than his own — in the next sentence, where he writes that “Soviet workers were hardly better off or freer than their American counterparts”. Here are no bosses to drive fear into the workers. No one to drive them in mad speed-ups. Here the workers are in control. Even the shop superintendent had no more right in these meetings than any other worker. I have witnessed many times already when the superintendent spoke too long. The workers in the hall decided he had already consumed enough time and the floor was given to a lathe hand to who told of his problems and offered suggestions. Imagine this at Ford or Briggs. This is what the outside world calls the “ruthless dictatorship in Russia”. I tell you … in all countries we have thus far been in we have never found such genuine proletarian democracy… (quoted from Phillip Bonosky, Brother Bill McKie: Building the Union at Ford [New York: International Publishers, 1953]). 32. Thurston says nothing about free medical care, cited in many studies of and novels about the Soviet Union in the 1930s. And much of his chapter shows how Soviet workers had a tremendous amount of input and right to criticize. Thurston also doesn’t mention that millions of US workers were unemployed in the ’30s, while the Soviets had a labor shortage. He omits the fact that US workers trying to unionize for better conditions were being violently attacked, and often killed, by the police, the military, and employer-hired goons. Conditions for the working class in Europe generally were even worse, with fascist or virtually fascist regimes, all viciously anti-working class, in most countries. 33. 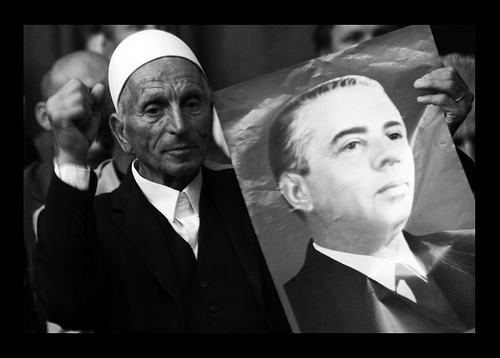 The final chapter deals with the response of the Soviet population to World War II. Here too Thurston concludes that the Soviet regime retained much loyalty and enthusiasm among the population. 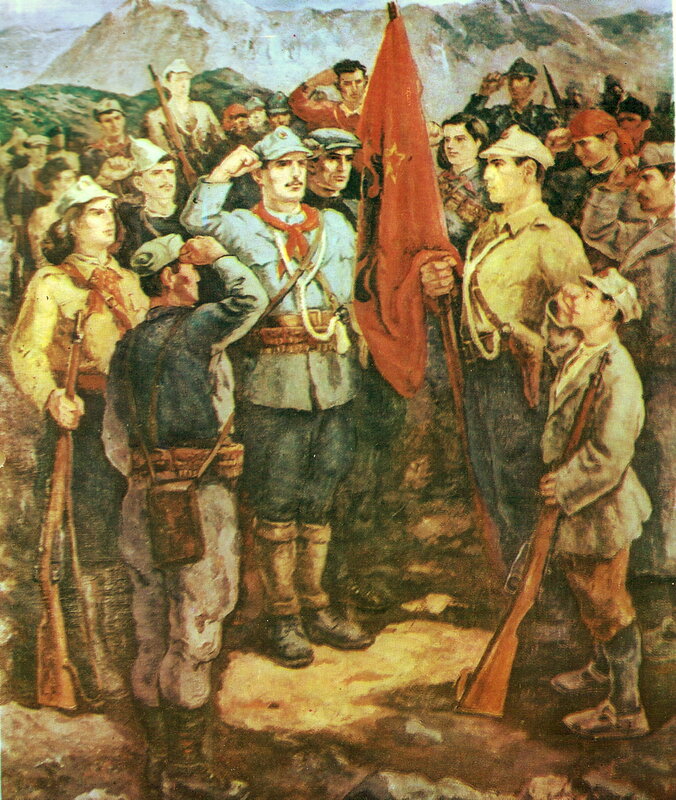 Soviet soldiers fought against the Japanese in Mongolia with high morale in 1938, where their military leadership was excellent, and against Finland and then the German Wehrmacht in 1940 and 1941, where both political and military leadership was initially poor and led to larger casualties than necessary. In the opening days of WWII, the Red Army fought well, counterattacking against far superior Axis forces, often fighting to the last man, rarely surrendering unless surrounded or demoralized by huge casualties and a hopeless situation. German officers uniformly remarked that the Soviets fought far better than any Western army (215). 34. Civilian morale was generally high in June 1941, even in Soviet-occupied Eastern Poland. The Polish fascist state had been racist towards Jews and Ukrainians in Eastern Poland, and therefore many of the Ukrainian population were supportive when the Soviets marched in, especially since the Soviets mainly repressed the enemies of the workers and peasants — landowners, Polish officers, and police — and did not collectivize the peasantry. But Ukrainian nationalists in Poland had already basically turned towards the Nazis, so many “Western” Ukrainians welcomed the Nazi invasion. German officers recognized that the Ukrainians in Soviet territory were very different, much more loyal to the USSR and often very hostile to the pro-Nazi West Ukrainians, as Thurston shows. 35. The research reported in this book because it will help to combat anti-communism and lies against Stalin and the USSR generally during his time. However, Thurston’s work also suffers from serious shortcomings. First, while he combats many anti-Communist lies with good evidence, Thurston also makes many statements critical of the Bolsheviks without any evidence. There are many instances of this. 36. Even more serious are Thurston’s historiographical shortcomings. Not a Marxist of any kind, Thurston frames his analysis entirely in bourgeois historical terms. Therefore, Thurston’s book is valuable when, and only when, he bases his conclusions on primary source evidence. Even when he does, this evidence must be put into an historical materialist, scientific framework in order for important lessons to emerge clearly. 37. Like all the other works of the anti-Cold War researchers — called “revisionists” or “Young Turks” — who have helped to refute anti-Stalin and anti-Communist lies, this is a work of bourgeois history. These works of research take capitalism for granted, and so have a capitalist bias from the outset. Though they come up with important evidence, and often use it well, they do so from an academic perspective. They may refute egregious Cold-War lies, but they never reject anti-communism, the fundamental premise of capitalist scholarship. 38. 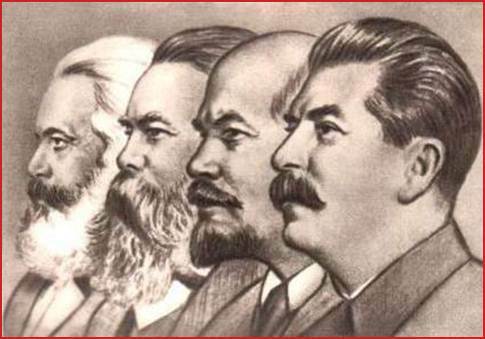 Most important for our purposes, the “revisionists” do not ask the questions which Marxists, and all those convinced that capitalism must be overthrown, need answers to: namely, What can we learn, positively and negatively, from the history of the USSR? What were the Bolsheviksí successes? 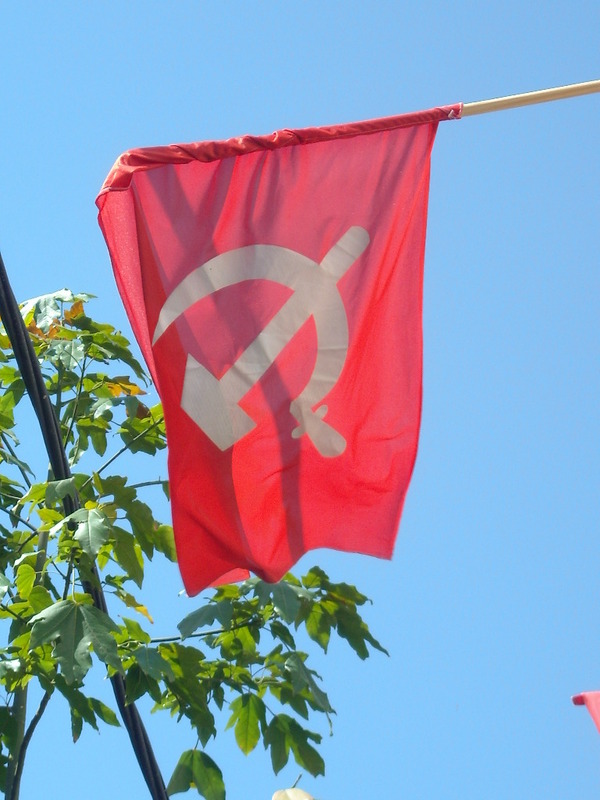 Why did these dedicated communists fail? 39. Although it can’t provide answers to the questions revolutionaries need to ask, Thurston’s work, like those of other more objective, though bourgeois, researchers, can help us if we use them according to historical materialism, the scientific method of Marxism or communism. 40. 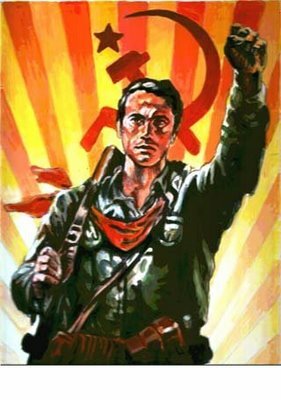 After all, to learn the correct lessons, both positive and negative, from the Bolsheviks’ experience, the history of the dictatorship of the proletariat in the Soviet Union and why it eventually turned into its opposite, we need something in addition to the Marxist method of understanding history, or dialectical and historical materialism. We also need an accurate account of what, in fact, happened, not a farrago of anti-Communist lies and horror stories. 41. It is here, in refuting anti-Communist lies, as well as in discovering what did happen in reality, that Thurston’s work, and that of other honest bourgeois historians, can be very helpful. Let me give two brief examples. 42. Thurston shows time and again that those most likely to have been arrested and executed during the panic of 1937-38 were officials, leaders, managers, officers, and “higher- ups” in general. This fact shows that there was a considerable divorce between “leaders” and ordinary workers and other citizens. How could this be? 43. 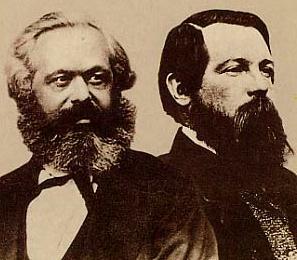 Marx recognized that “all history is the history of class struggle”. The Bolsheviks believed that everything must be subordinated to the fight for industrialization and production. After the early ’30s they used “material incentives” to reward workers and managers, developing large wage differentials and, therefore, differences in living standards among workers and between workers and managers, Party leaders and rank-and-file members, and in every other aspect of society. Believing too that productive technique was “class-neutral”, they kept capitalist production relationships in the factories and capitalist relationships of hierarchy and inequality generally in society. Women still did all the housework as well as their jobs, putting real limits on the extent — real, also — to which sexism could be fought. 44. In short, social relationships in the USSR were “reformed” capitalist relationships more than they were truly communist egalitarian relationships. This had to give rise to new class antagonisms and create resistance to the disappearance of old ones. 45. Thurston’s research can help us see that the mass arrests and executions of 1937-38, which were “concentrated among the country’s elite” (232), reflected these class antagonisms at the same time Stalin and the Soviet leadership believed they had abolished class struggle. Without these capitalist relations the “panic” of the late ’30s and, in fact, the future evolution of the Soviet Union towards, first, state capitalism and, as now, “free-market” capitalism, would not have been possible. 46. In 1938 and thereafter specific cases of police corruption, neglect of evidence, frame-ups, and other negligence were publicized and those guilty punished. Many cases of rehabilitation, both of the living and of those unjustly executed, took place. Nevertheless the Bolshevik leadership under Stalin never really underwent a thorough, public self-critical review of how any injustice could have happened, in order to get to the bottom of it. 47. There is also the question of why people like Zinoviev, Bukharin and others were in important positions of power to begin with. They had demonstrated rotten politics for years. Zinoviev had quit the party in fear rather than take part in the October Revolution. Bukharin had lied many times — Thurston documents this — and had even plotted with the Socialist Revolutionaries against Lenin during the Civil War. 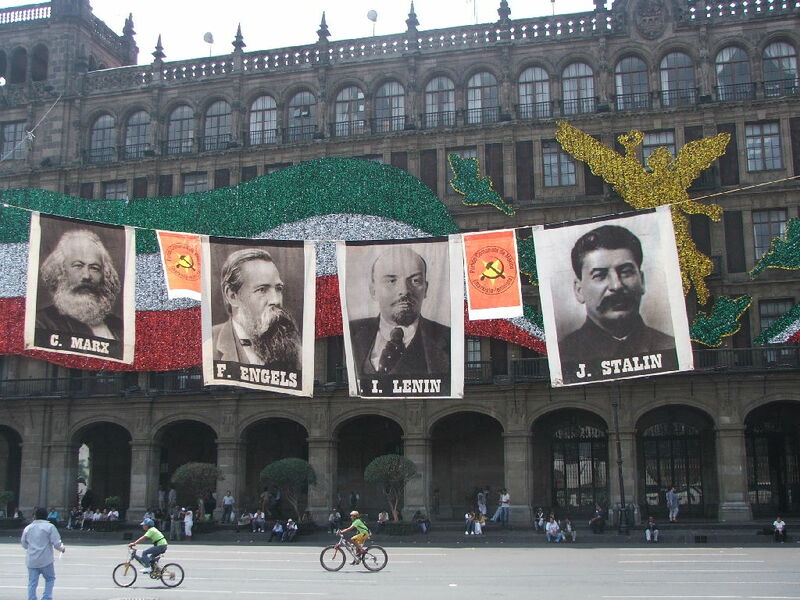 (The S-R’s then plotted to overthrow Lenin, and very likely tried to kill him.) They had been expelled from the Party. 48. What was the point of handing them major leadership posts? The Bolsheviks should have trained other members to do their jobs and not relied on these particular intellectuals. Perhaps the concept of a party of “professional revolutionaries”, a “cadre” party — Zinoviev, Kamenev, Bukharin and others had worked for the Party all their lives — had not yet been entirely abandoned for the better concept of a mass party of the working class. 49. 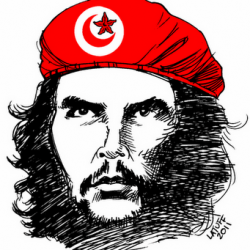 Thurston’s work is useful in debunking anti-Communist lies. And his work is only one of a growing body of what has been called “revisionist” research on the history of the USSR. These works use the same kind of bourgeois historical methodology, rules of evidence, logic, and documentation, commonly used in less contentious fields of history, but hardly ever in the study of the communist movement. 50. For the first time, an outline of the major events in the USSR during the Stalin years is beginning to emerge, although the anti-Communist “Cold Warriors” — often joined by enthusiasts for Leon Trotsky — are still actively spreading their lies and contesting every bit of research which contradicts their preconceived ideas, what is virtually a “Cold-War Party Line”.This is exciting, and heady, material! 51. But it is for revolutionaries and workers of today to use research like Thurston’s towards this end. Neither this work nor any others like it can provide the historical materialist framework without which human history will not reveal its truths. 1. There are a number of strands in the “new” history of the Soviet Union during the Stalin years. The work of the late E. H. Carr, and of his successors at the University of Birmingham’s Centre for Russian and East European Studies, led by R. W. Davies, and represented heavily in the journal Soviet Studies (since volume 45, 1993 retitled Europe-Asia Studies); the research of Jerry Hough, Sheila Fitzpatrick, and Roberta Manning, the inspiration and, in some cases, the teachers of the younger “revisionists”; and the younger cohort themselves. I will concentrate on this third group. 2. The book under review is an excellent place to begin. But, to my mind, the first and groundbreaking work of this school is John Arch Getty, Origins of the Great Purges: The Soviet Communist Party Reconsidered, 1933-1938 (Cambridge University Press, 1985). A much revised version of his Ph.D. dissertation at Boston College, 1979, under Roberta Manning, this work is fundamental. One has to read it to get a feel for how completely the “accepted” version (Conquest-Solzhenitsyn, et al. — what Thurston calls the “standard version” or “orthodox view”) of this period must be rejected, how completely dishonest their “scholarship”, how poor their use of evidence. After Thurston, begin with Getty, and a careful reading of his footnotes. 3. The year after Getty’s book was published, the revisionists achieved recognition as a distinct school within Soviet history with Sheila Fitzpatrick’s article “New Perspectives on Stalinism”, The Russian Review 45, 4 (October 1986), 357-373, which the editors published together with four criticisms by established Cold-War historians, and a reply by Fitzpatrick, “Afterword: Revisionism Revisited”. A year later the same journal published eleven responses to Fitzpatrick’s article, including five by the leading younger scholars (William Chase, J. Arch Getty, Hiroaki Kuromiya, Gábor Rittersporn, and Lynne Viola), two supportive articles (by Jerry Hough and Roberta Manning), and an explicit attack by Conquest. 4. Robert Conquest’s voluminous work is the target, acknowledged or not, of much of the research on this period of Soviet history. Getty leads off his book with a brief exposé of Conquest’s irresponsible methods (Origins, p. 5 and note 12, p.222). The work of Steven G. Wheatcroft on the size of Soviet forced labor camps and number of deaths has developed as a refutation of Conquest and those whose research resembles his, like Steven Rosefielde. This debate continues today, and was launched by Wheatcroft’s article “On Assessing the Size of Forced Concentration Camp Labour in the Soviet Union, 1929-1956”, Soviet Studies 33 (April, 1981), 265-95. Conquest’s typically weak reply, with argument “from authority”, is in Soviet Studies 34 (July 1982), 434-39. Repression and mass killings carried out by German and Soviet leaderships during the period 1930-45 differed in several respects. It appears that the German leader Adolf Hitler put to death at least five million innocent people mainly because of his antipathy towards Jews and communists. In contrast, Soviet leader Josef Stalin ordered the murder of some one million people because he apparently believed them to be guilty of crimes against the state. He was careful about documenting these executions whereas Hitler did not bother about making any pretence at legality. 6. A few other works which base themselves on recently-published Soviet archival documents and give the lie to Conquest-type horror-stories include: Nicolas Werth, “Goulag: Les Vrais Chiffres”, L’Histoire no. 169 (Septembre, 1993), 38-51; J. Arch Getty, Gábor T. Rittersporn, and Viktor N. Zemskov, “Victims of the Soviet Penal System in the Pre-war Years: A First Approach on the Basis of Archival Evidence”, American Historical Review 98 (December, 1993), 1017-49; R.W. Davies, “Forced Labour Under Stalin: The Archive Revelations”, New Left Review, 214 (November-December 1995), 62-80. 7. Other works explicitly critical of Conquest include: Jeff Coplon, “In Search of a Soviet Holocaust: A 55-Year-Old Famine Feeds the Right”, Village Voice, Jan. 12, 1988 (on the web at http://chss.montclair.edu/english/furr/vv.html). 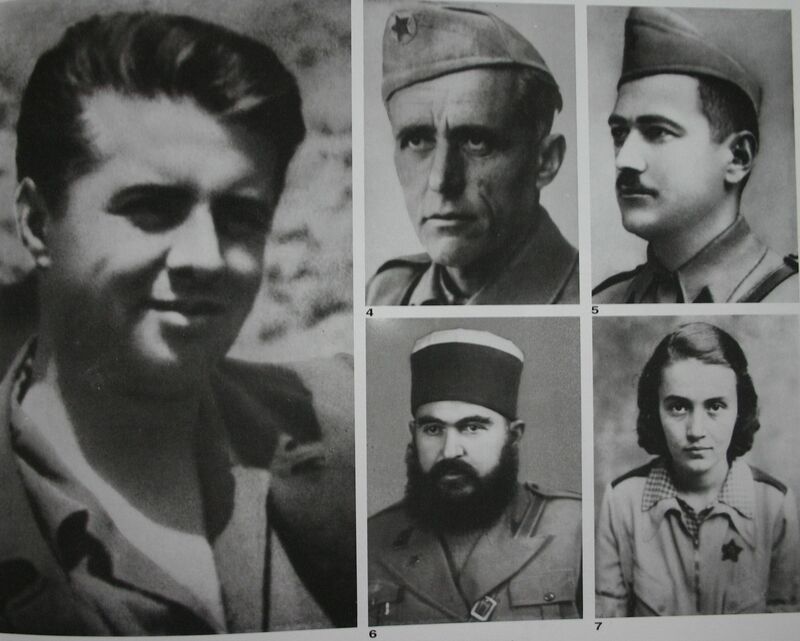 Coplon interviewed many of the foremost historians of the USSR, including many “Cold Warriors” as well as some “revisionists”; all rejected Conquest’s phony research on the Ukrainian famine, Harvest of Sorrow (Oxford, 1986), incidentally showing how Conquest was paid by Ukrainian nationalist groups which had collaborated with the Nazis. 8. Thurston was, I think, the first and (to date) the only historian of the Soviet Union to dare to attack Conquest in an academic journal: see Thurston, “On Desk-Bound Parochialism, Commonsense Perspectives, and Lousy Evidence: A Reply to Robert Conquest”, Slavic Review 45 (Summer 1986), 238-244. 9. 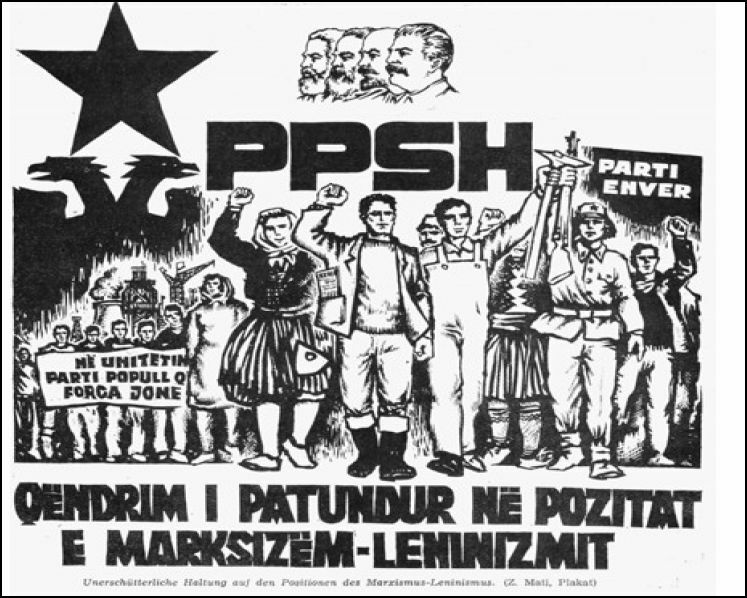 A six-part series exposing the Nazi origins of the Ukrainian famine myth while remaining critical of Soviet actions from a communist viewpoint, can be found at the Progressive Labor Party website at http://www.plp.org/cd_sup/ukfam1.html; read its notes for scholarly references to that time. 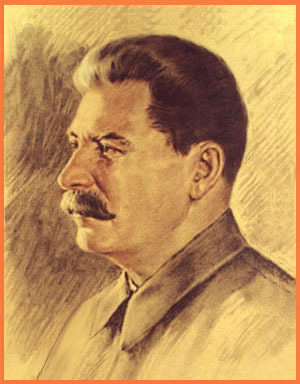 Another PLP series, this time in four parts, of Stalin, the PBS television series, and the accompanying book Stalin: A Time for Judgment, by Jonathan Lewis and Phillip Whitehead (New York: Pantheon, 1990), begins at http://www.plp.org/cd_sup/pbsstal1.html. These articles contain yet more references to “revisionist” scholarship, and end with a brief bibliography of suggested further readings, at http://www.plp.org/books/biblio.html. An appreciative but critical review of Getty’s Ph.D. dissertation, the basis of his 1985 book, is at http://www.plp.org/pl_magazine/purges.html. 10. This should be enough for anyone interested in studying the latest critiques of the Cold-War lies about Stalin and Bolshevik history, the wars within the field of Soviet history, and the best results of bourgeois historiography, to sink their teeth into. 11. Finally: there is an important theoretical issue which I deal with briefly towards the end of my review, and which is not apparent in any of the social-historical and empirical research of the past twenty years or so. 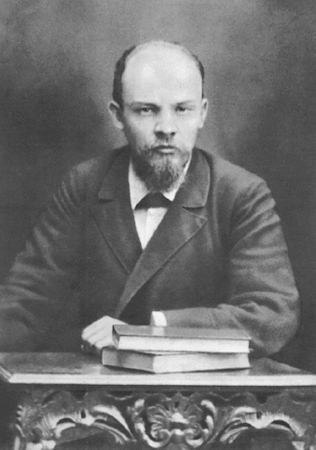 That question is: How can the method of dialectical and historical materialism be brought to bear on the “facts” as we are coming to know them, in order to draw valid conclusions from the Bolsheviks’ successes and errors, so that future communists may build upon the past without repeating its mistakes? 12. These works can help us learn something about what did happen, and help us refute anti-Communist lies. But the task of learning from the past to build towards a communist future is up to us. After making the Soviet border regions more secure in Western Byelorussia and Western Ukraine, and acquiring defensive bases in the Baltic States of Estonia, Latvia and Lithuania, the Soviet Marxist-Leninists turned their attention to the vulnerability of their border with Finland. After being a Swedish province for 600 years, in 1808 Finland was ceded to the Russian Tsar as a Grand Duchy. After the Russian Revolution of November 1917, Finland declared its independence on 6 December 1917, and this was recognised by Soviet Russia on 2 January 1918. “During the Russian Civil War, the new Finnish government actively supported the Western nations in their attempt to destroy the Bolshevik regime. On occasion, they even allowed anti-Bolshevik military operations to be mounted from their territory”. (A. Read & D. Fisher: ‘The Deadly Embrace: Hitler, Stalin and the Nazi-Soviet Pact: 1939-1941′; London; 195P’; p. 372-74). 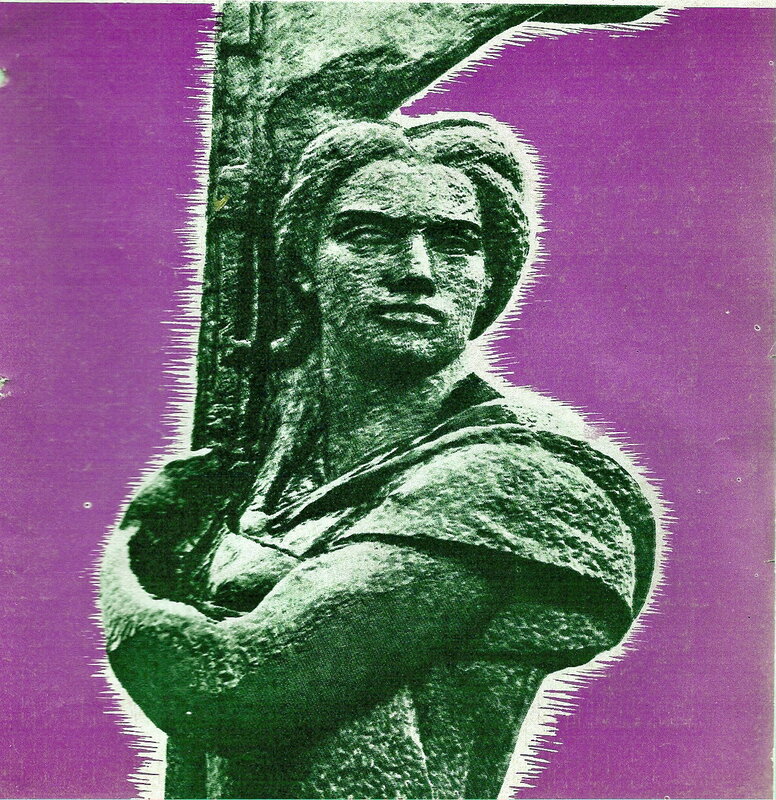 “I strove deliberately and wittingly to create the foundations for our relations with Russia of the future by military action having for its objects the liberation of the capital of former Russia, together with a territory large enough to permit of the establishment of a stable and healthy minded Russian government, and thus to remove from our frontiers the peril of Bolshevism” . (C. Mannerheim, in: ‘Times’, 7 October 1919; p. 9). ” . uncrowned king of Finland”. (‘Daily Mail’, 17 October 1939; p. 2). “If we look at the map, we shall find that the best approach to Petrograd is from the Baltic, and that the shortest and easiest route is through Finland, whose frontiers are only about 30 miles distant from the Russian capital. Finland is the key to Petrograd and Petrograd is the key to Moscow”. (‘Times’, 17 April 1919; p. 14). “The Treaty of Tartu was most unsatisfactory from the Soviets’ point of view, but they were in no position to resist Finnish demands. Two of its most signifciant provisions were the legalising of the Finnish seizure of the town and district of Petsamo, with its valuable nickel deposits, . . . and the redrawing of the Russo-Finnish border further down the Karelian Isthmus to a mere 18 miles from Petrograd”. (A. Read & D. Fisher: ibid,; p. 374). “Comrades, little Finland is of considerable importance in the war preparations of the imperialists against the Soviet Union. Its frontier is only 40 kilometres distant from Leningrad. .. . ..
Finland’s orientation upon England is well known. Considerable sums of British capital are invested in Finland. England has taken a direct part in the reorganisation of Finland’s army and navy. . . .
A vicious (anti-Soviet — Ed.) press campaign goes on uninterruptedly”. (Y.F. Sirola: Speech in Discussion on the War Danger, 6th Congress of Communist International, in: ‘International Press Correspondence’, Volume 8, No. 61 (11 September 1928); p. 1,081). ‘Soviet Documents on Foreign Policy’, Volume 3; London; 1953; p. 226). “The Soviet leaders shared the fears which all Russian leaders have felt since the time of Peter the Great — namely, that a hostile power might use Finland as a base for an attack upon Leningrad. In the 18th century the potential enemy was Sweden. In the 1930s the threat came from Germany”. (F. Singleton: ‘A Short History of Finland’; Cambridge; 1989; p. 128). In 1939, having become a Great Power and with the threat of German intervention temporarily removed by the Soviet-German Non-Aggression Pact, the Soviet government sought to rectify the dangerous situation to its security resulting from the Treaty of Tartu. “Questions of a political and economic character”. (‘Keesing’s Contemporary Archives’, Volume 3; Bristol; 1939; p. 3,773). The government appointed Juho Paasikivi*, then Finnish Minister to Sweden, as its special representative. “If the Soviet Union should make proposals regarding the creation of Soviet Union military bases on the Finnish mainland, or, e.g., on the Aaland Islands, such proposals should be rejected and any discussion thereof refused. The same applies to any proposals referring to frontier adjustments on the Karelian Isthmus. . . . . If the Soviet Union suggests the conclusion of a treaty of mutual assistance, . . it should be pointed out that such a treaty is not compatible with Finland’s policy of neutrality”. (‘The Development of Finnish-Soviet Relations of 1939″;Helsinki 1940; p. 47, 49). “On the Finnish side there seems to have been less elasticity. . The negotiators sent to Moscow enjoyed almost no freedom of maneuver. They were shackled by strict orders as to w;hat they might or what they might not talk about”. (C. L. Lundin: ‘Finland in the Second World ‘; Bloomington (USA); 1957; p. 53, 55). “The earnest hope that the Soviet Union will make no demands on Finland which are inconsistent with the maintenance and development of amicable and peaceful relations between the two countries and the independence of each”. (F. D. Roosevelt: Letter to M. I. Kalinin, cited in: ‘The Development of Finnish-Soviet Relations During 1939; 1940; Ibid; p. 97). “I think I should remind you, Mr. President, that the independence of the Finnish Republic as a State was recognised spontaneously by the Soviet Government on December 31, 1917, and that the sovereignty of Finland is guaranteed by the Treaty of Peace between the RSFSR and Finland, signed on October 14, 1920. The above-mentioned acts on the part of the Soviet Government determined the fundamental principles of the relations between the Soviet Union and Finland. It is in accordance with those principles that the present negotiations between the Soviet Government and the Finnish Government are being conducted. Notwithstanding the tendentious versions put about by some who evidently have not the peace of Europe at heart, the sole object of the negotiations in question is to establish close relations between the Soviet Union and Finland and to strengthen the friendly cooperation between the two countries in order to ensure the security of the Soviet Union and that of Finland”. (M. I. Kalinin: Letter to F. P. Roosevelt, in: ‘The Development of Finnish-Soviet Relations . . ‘; ibid.,; p. 97). 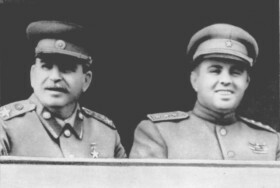 Paasikivi arrived in Moscow on 12 October 1939, when negotiations began in the presence of Stalin and Molotov. “The importance they (the Soviet leaders — Ed.) attached to the negotiations is shown by the fact that Stalin participated in all three stages of them”. (C. L. Lundin: ibid. ; p. 52). b) becoming satisfied that Finland will maintain firm, friendly relations with the Soviet Union. (1) To make it possible to block the opening of the Gulf of Finland by means of artillery fire from both coasts of the Gulf of Finland in order to prevent warships and transport ships of the enemy penetrating, to the waters of the Gulf of Finland. (2) To make it possible to prevent the access of the enemy to those islands in the Gulf of Finland which are situated west and north-west of the entrance to Leningrad. (3) To have the Finnish frontier in the Karelian Isthmus, which is now at a distance of 32 km. from Leningrad, i.e., within the range of long-distance artillery, moved somewhat farther northwards and northwestwards”. (‘The Development of Finnish-Soviet Relations . . . ‘; ibid. ; p. 49-50). “The Finnish representatives said they were unconditionally opposed to the conclusion of a reciprocal aid treaty”. (V. Tanner: ‘The Winter War: Finland against Russia: 1939-1940’; Stanford (USA); 1957; p. 25). The Soviet representatives accordingly dropped this proposal. To achieve points (1) and (2), the Soviet government proposed that Finland should lease to the Soviet Union the port of Hanko and the territory adjoining them, and allow it have a Soviet garrison there for the protection of the naval base. The total area of the territory requested for these purposes and to achieve point 3 was 2,761 square kilometres, in exchange for which the Soviet Union would cede to Finland territory with an area of 5,529 square kilometres i.e., more than double the area. “It is not the fault of either of us that geographical circumstances are as they are. We must be able to bar entrance to the Gulf of Finland. . . . .
Once a hostile fleet is in the Gulf, the Gulf can no longer be defended. You ask what power might attack us. England or Germany. We are on good terms with Germany now, but everything in this world may change. Yudenich* attacked through the Gulf of Finland, and later the British did the same. This can happen again. If you’re afraid to give us bases on the mainland, we can dig a canal round Hanko Neck. .
We ask that the distance of Leningrad to the line should be 70 kilometres. That is minimum demand, and you must not think we are prepared to reduce it bit by bit. We can’t move Leningrad, so the line has to move. . . . We ask for 2,700 square kilometres and offer more than 5,500 in exchange”. (V. Tanner: op. cit. ; p. 27-28). “The Soviet leaders were determined, above all, to do two things. They wished to push the frontier on the Karelian Isthmus back a substantial distance from its closest approach to Leningrad. . . . They also wished to establish a naval base on the Finnish coast at the mouth of the Gulf, opposite the newly acquired bases in Estonia, so that any hostile shipping coming up the Gulf of Finland would have to run the gauntlet of a cross fire”. (C. L. Lundin: op. cit. ; p. 51-52). (V. Tanner: op. cit. ; p. 26). “This offer was held to be so trifling as not to be worth the trouble of discussing”. On 19 October, Paasikivi returned to Moscow, this time in company with Vaino Tanner, shortly to become Foreign Minister, and the negotiations were resumed on 23 October. “So far as the port of Hanko, with the adjoining territory and the Bay of Lappohja, are concerned, the Finnish Government are bound to uphold Finland’s integrity”. (‘The Development of Finnish-Soviet Relations .’; ibid. ; p. 53). (V. Tanner: op. cit. ; p. 47). “You must not reckon with any such possibility”. (V. Tanner: op. cit. ; p. 48). Paasikivi and Tanner returned to Helsinki on 26 October. “Our proposals in the negotiations with Finland are modest, and they are confined to the minimum, short of which is it impossible to ensure the safety of the Soviet Union”. (‘The Development of Finnish-Soviet Relations . . ‘; op. cit,; p. 57). Paasikivi and Tanner returned to Moscow for the third (and final) round of negotiations, arriving on 2 November. “Finland could not consent to any arrangement prejudicial to her independence and to her chances of self-defence. . . . It is the Great Powers who make war”. (‘Keesing’s Contemporary Archives’, Volume 3; Bristol; 1939; p. 3,782). “Cannot be appraised otherwise than as an appeal for war with the Soviet Union”. “The Government of Finland feels obliged to maintain the attitude which it has taken up from the outset regarding the proposal that it should lease the port of Hanko and the surrounding district to the Government of the USSR and place the Bay of Lappohja at the disposal of the naval forces of the USSR for use as an anchorage”. (‘The Development of Finnish-Soviet Relations . . . ‘, op. cit.,; p. 62). “Paasskivi was now prepared to recommend that the Soviet Union be granted a base in the west, in which connection he had in mind the cession of Jussaro”. (V. Tanner: op. cit. ; p. 44). After a break over the holiday for the anniversary of the Russian Revolution of 1917, negotiations were resumed on 8 November. “Hanko was not to be discussed. . . . The same attitude was to apply to the Soviet Union’s alternative proposal on the islands in the neighbourhood of Hanko. Mention of Jussaro was likewise unconditionally forbidden”. (V. Tanner: op. cit. ; p. 73). “When we said once more that Hanko could not be discussed, to our great surprise Stalin proposed an alternative — the group of islands to the east of it”. (V. Tanner: op. cit. ; p. 67). “Towards the end of the negotiations, Stalin asked whether, instead of Hanko, the Finns would cede three small islands nearby”. (C. L. Lundin: op. cit. ; p. 53). Little red circles had been drawn around three small islands . . . just east of the Hanko Peninsula. He was willing to settle for these if it really was impossible for Finland to part with Hanko itself”. (N. Jakobson: ‘The Diplomacy of the Winter War: An Account of the Russo-Finish War, 1939-1940’; Cambridge (USA); 1961; p. 136). “We asked the Government whether . . . we might offer to the Soviet Union Jussaro in the west”. (V. Tanner: op. cit. ; p. 68). “Erkko was triumphant. . . . Stalin was softening. Now was the time to stand firm”. (N. Jakobson: op. cit,; p. 137). “Mannerheim . . . tells us that he was willing, if need be, to offer Russia . . . Jussaro”. (C. L. Lundin: op. cit. ; p. 54). (V. Tanner: op. cit . ; p. 73). “The Finnish Government does not find it possible to accept the proposal”. (“The Development of Finnish-Soviet Relations . . .”; op. cit.,; p. 66). 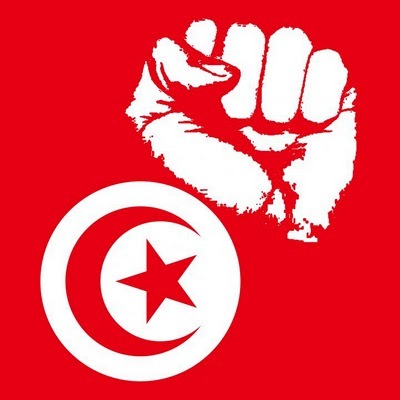 “Our opponents went on with their demands on the Isthmus. Yet here we could not undertake to offer any concessions, since we had no authority to do so”. (V. Tanner: op. cit. ; p. 76). “At the next — and final — conference with Stalin and Molotov, the Finnish negotiators had nothing left but negative replies to make to inquiries about . . . the Karelian Isthmus and about the islands near Hanko”. (C. L. Lundin: op. cit. ; p. 55). “The negotiations reached a deadlock on November 13”. (‘The Development of Finnish-Soviet Relations . . .’; op. cit. ; p. 19). “It was Tanner who suggested that they might just as well agree to disagree”. (N. Jakobson: op. cit. ; p. 137). The Finnish delegation left Moscow for the last time on 13 November. “The Soviet negotiators did not bully. . . . The treatment of the Finnish emissaries was not unfriendly”. (C. L. Lundin: op. cit. ; p. 52). It is clear that the Soviet government ‘s proposals were neither a threat to Finland’s independence nor based on territorial expansion, but were designed solely to increase the Soviet Union’s defensive capacity. The Finnish government’s rejection of the Soviet proposals and its categorical rejection of the compromises proposed by Moscow demonstrated that it was being backed by one or more foreign powers to cling to a boundary which represented a serious threat to the security of the Soviet Union. “It simply cannot be overlooked that Finland pursued a dangerously aggressive, menacing foreign policy prior to the war”. (N. Turtola: ‘Guilty or Innocent? Approaches to the “‘inter War in Research and Memoirs’, in: ‘Yearbook of Finnish Foreign Policy: 1990’; Helsinki; 1990; p. 45). “According to intelligence received, England was responsible for the failure of the Russo-Finnish negotiations last November”. J. Sontag & J. S. Beddle (Eds. ): ‘Nazi-Soviet Relations’; Washington; 1948; p. 130). According to the Finnish government at the time, and to the complaint which it laid before the League of Nations, on 30 November 1930 the Soviet Union launched a sudden and unprovoked invasion of Finland. The known facts, however, do not support this story. “The main body of the regular army were ordered to march without delay to their pre-arranged positions in frontier districts”. (M. Jakobson: op. cit. ; p. 109). “The Ministry of the Interior urged a voluntary evacuation of cities and air raid exercises were held in Helsinki. On October 11, the day the Finnish delegation arrived in the Soviet capital, the government decided to call reserve contingents to ‘refresher courses’, which amounted to disguised mobilisation”. (N. Jakobson: op. cit. ; p. 109). “Large numbers of reservists were called to the colours, and on Oct. 14 it was reported that mobilisation was almost completed. A ‘blackout’ was imposed in Helsinki, and ARP measures were introduced in all large towns. Voluntary evacuation of civilians took place from Helsinki, Vupuri, Tampere and Turku, as well as from districts adjacent to the Russo-Finnish frontier. A number of decrees were signed by President Kallio on Oct. 15, . . . including the enforcement of obligatory national service on all citizens between the ages of 18 and 60”. (‘Keesing’s Contemporary Archives’, Volume 3; ibid; p. 3,773). “Our troops posted on the Karelian Isthmus, in the vicinity of the village of Mainila, were the object today, November 26, at 3.45 p.m., of unexpected artillery fire from Finnish territory. In all, seven cannon-shots were fired, killing three privates and one non-commissioned officer. . . . 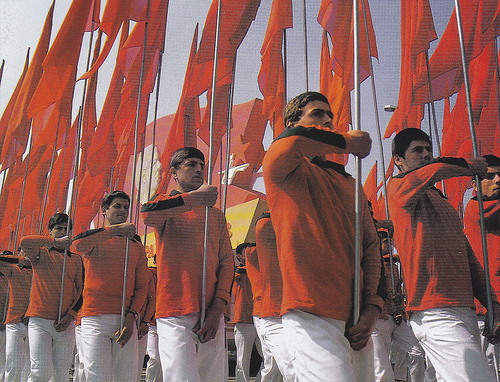 The Soviet troops . . . did not retaliate. The Soviet Government are obliged to declare now that the concentration of Finnish troops in the vicinity of Leningrad not only constitutes a menace to Leningrad, but is in fact an act hostile to the USSR, which has already resulted in aggression against the Soviet troops and caused casualties. . . . . The Government of the USSR have no intention of exaggerating the importance of this revolting act . . ., but they desire that revolting acts of this nature shall not be committed in future”. (‘The Development of Finnish-Soviet Relations . . .’; op. cit. ; p. 70-71). “That the Finnish Government should, without delay, withdraw their troops on the Karelian Isthmus from the frontier to a distance of 20-25 km., and thus preclude all possibility of a repetition of provocative acts”. (‘The Development of Finnish-Soviet Relations . . .’; op. cit. ; p. 71). “It is my duty to reject your protest and to state that Finland has committed no hostile act against the USSR such as you allege. Although there are no concrete grounds for withdrawing the troops from the frontier-line, as you propose, my Government is prepared, none the less, to open conversations with a view to the mutual withdrawal of troops to a certain distance from the frontier. . . .
(‘The Development of Finnish-Soviet Relations . . . ‘; op. cit. ; p. 72-73). “In concentrating a large number of regular troops in the immediate vicinity of Leningrad and subjecting that important vital centre of the USSR to a direct threat, the Finnish Government have committed a hostile act against the USSR which is incompatible with the Treaty of Non-Aggression concluded between the two States. The refusal of the Finnish Government, after the criminal artillery fire directed at the Soviet troops, to withdraw their troops a distance of 20-25 km., shows that the Finnish Government desire to persist in their hostile attitude towards the USSR. . . . In consequence, the Government of the USSR are obliged to state that they consider themselves, as from today, released from the obligations ensuing from the Treaty of Non-Aggression concluded between the USSR and Finland”. (‘The Development of Finnish-Soviet Relations . . . , ; op. cit,. ; p. 74). “Attacks on Soviet troops by Finnish troops are known to be continuing, not only on the Karelian Isthmus, but also at other parts of the frontier between the USSR and Finland. The Government of the USSR can no longer tolerate such a situation. As a result of the situation thus created, . . . the Government of the USSR . . . find themselves compelled to recall their political and economic representatives from Finland”. (‘The Development of Finnish-Soviet Relations . . .’ ; op. cit. ; p. 75). “The Finnish war began in the following way. . . . Some Russian frontier guards were shot at by the Finns and killed. . . . 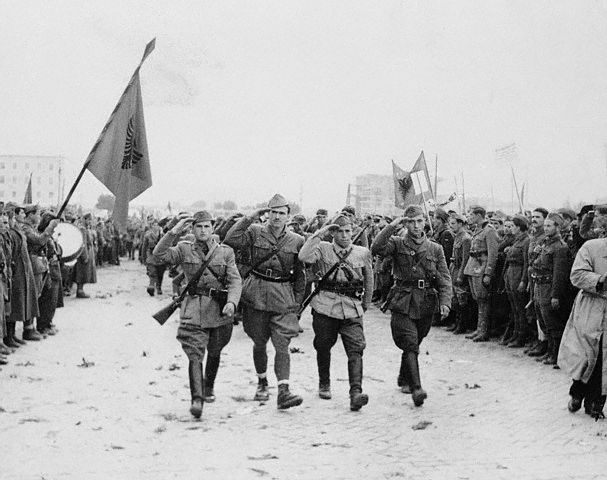 The frontier guard detachment complained to the Red Army troops. . . . Moscow was asked for instructions. These contained the order to return the fire”. (W. S. Churchill: ‘The Second World War’, Volume 6: ‘Triumph and Tragedy’; London; 1954; p. 317-18). More than twenty-five years after Stalin’s death, most Soviet sources agree that the war was initiated by Finnish forces. “The Finnish militarists on November 26 entered the path of military provocations at the border. .
On November 29 Finnish troops again staged provocative actions at the border. In response, the forces of the Leningrad Military District . . . launched an offensive on the morning of November 30”. (‘Great Soviet Encyclopaedia’, Volume 24; New York; 1980; p. 352). 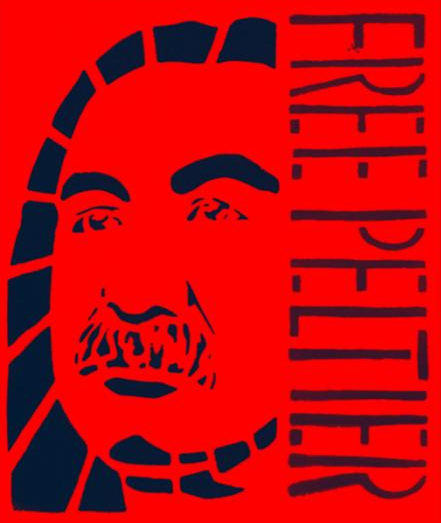 “The reckless leaders of bourgeois Finland involved their people in a dangerous political gamble . . . The Finnish leaders . . . were encouraged by the promises of the imperialist powers to assist them with troops and equipment. . . 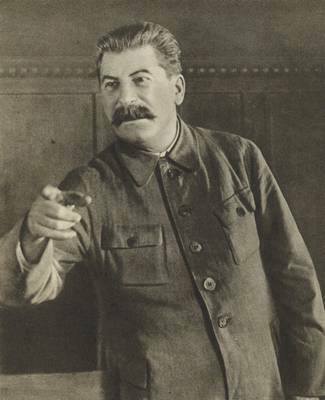 The Moscow proposal was rejected and our frontier guards received replies in the form of shots. .
On November 26 (1939 — Ed.) I received an urgent report that the Finns had opened artillery fire on Soviet frontier guards near the village of Mainila, killing four and wounding nine men. . Instructions came to prepare a counter-attack. 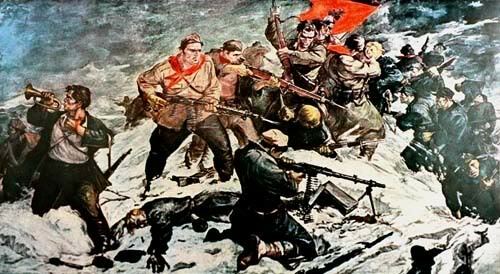 I was given a week to make ready, but in effect the time was reduced to four days, because Finnish detachments crossed the frontier at several points and infiltrated groups of saboteurs behind our lines. . . . At 0800 hours on November 30th regular Red Army forces launched operations to repel the anti-Soviet actions and the Soviet-Finnish War was on”. (K. A. Meretskov: ‘Serving the People’; Moscow; 1971; p. 102, 103, 108-09). 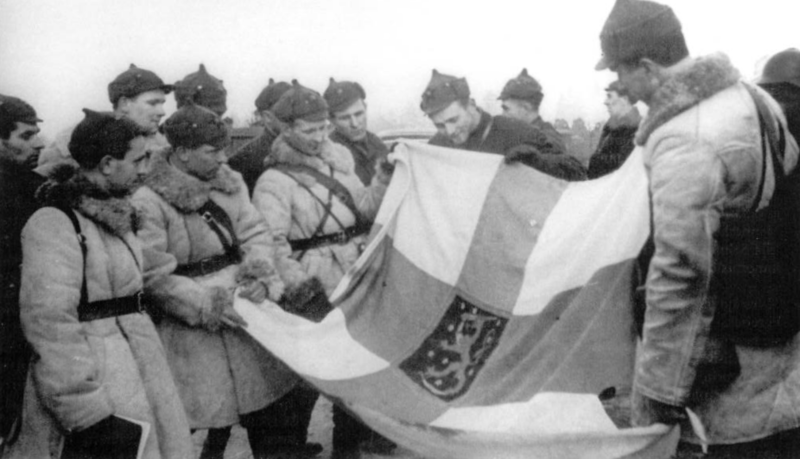 “On November 30th fighting provoked by the White Finns broke out”. (N. V. Voronov: ‘At the Karelian Isthmus’, in: S. Bialer (VA.): ‘Stalin and His Generals’; Epping; 1984; p. 132). Furthermore, when war broke out again between Finland (now a co-belligerent of Nazi Germany) and the Soviet Union in 1941 — a war known officially and significantly in Finland as the ‘Continuation War’ — it was clear to most observers that Finnish charges that the Soviet Union initiated the conflict were false. The ‘Continuation War’ is discussed in a later section of this chapter. (‘History of the Communist Party of the Soviet Union’; Moscow; 1939; p. 167-68). “The question as to which group dealt the first military blow is of no importance in determining the tactics of the socialists”. 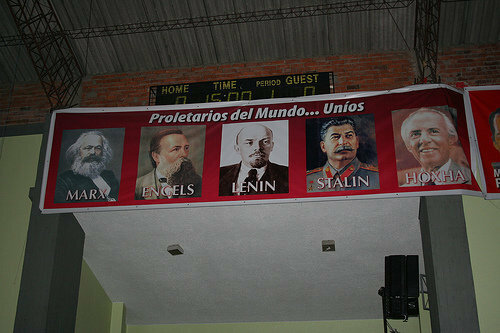 (V. I. Lenin: Conference of the Sections of the RSDLP Abroad, in: ‘Selected Works’, Volume 5; London; 1933; p. 132). “We Marxists differ both from pacifists and Anarchists in that we recognise the necessity of a historical study of each war individually, from the point of view of Marx’s dialectical materialism. There have been wars in history which, notwithstanding all the horrors, cruelties, miseries and tortures inevitably associated with every war, had a progressive character, i.e., they served the development of mankind”. (V. I. Lenin: ‘Socialism and War’, in: ‘Collected Works’, Volume 18; London; n.d; p. 219). “The Soviet Union is the true fatherland of the proletariat. . . This obliges the international proletariat . 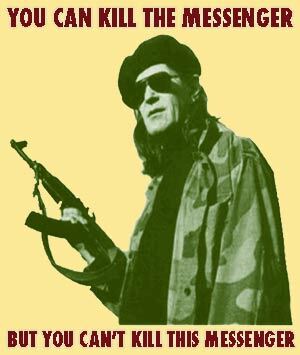 . . to defend the country of proletarian dictatorship by every means. . . . In the event of . . . a war against it, the international proletariat must answer by bold and resolute . 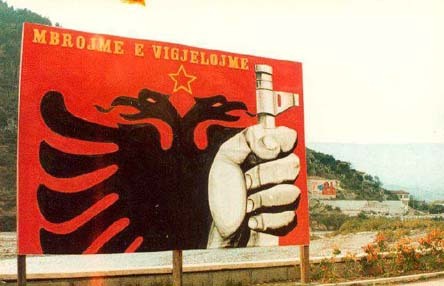 . . alliance with the Soviet Union”. (Programme of the Communist International, in: J. Degras (Ed. ): “Documents of the Communist International;”1919-1943: Volume 2; London, 197l; p. 512-13). “If they (the Finnish government – Ed.) didn’t yield to our ultimatum, we would take military action. . . . This was Stalin’s idea. . . . .
We had fired our salvo, and the Finns had replied with artillery fire of their own. De facto the war had begun. .
(N. S. Khrushchev: ‘Khrushchev Remembers;’, Volume 1; London; 1971; p. 152). “We had to guarantee the security of Leningrad, which was within artillery range of the Finnish border and could easily have been shelled from Finnish territory. Moreover, the Finnish government was following policies hostile to the Soviet Union. 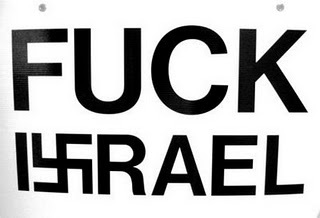 It was demonstrably flirting with Hitlerite Germany. The Finnish commander in chief, Carl Mannerhein, was a former tsarist general and a sworn enemy of the Soviet Union, Vaino Tanner was an old Social Democrat, but he remained an irreconcilable foe of our Marxist-Leninist ideology until the end of his days. Consequently, Finland represented a real threat to us because its territory could be used by more powerful governments; and it was therefore sensible, indeed crucial, for the Soviet State to take steps to protect Leningrad. . .
Our only goal was to protect our security in the North. . . . Our sole consideration was security — Leningrad was in danger”. (N. S. Khrushchev: ibid,; p. 150-51. 152). Indeed, many Western international lawyers accept the view that a state may legitimately intervene in another state where such intervention is necessary to its self-preservation. “Interventions . . . are technical violations of the right of independence. . . . Yet in certain circumstances International Law may excuse, or even approve of them. .
(T. J. Lawrence: ‘The Principles of International Law’; Boston; 1915; p. 127). self-defence, if intervention is necessary to meet the danger of an actual armed attack”. (J. G. Starke: ‘Introduction to International Law’; London; 1989; p. 105). “Finland has been misled by a very foolish Government. She should have accepted Russia’s offer for a readjustment of territory. She should have been a sensible neighbour. Finland would probably not have refused the Russian offer had she been acting on her own. .
No Power could tolerate a frontier from which a town such as Leningrad could be shelled, when she knows that the Power on the other side of the frontier . 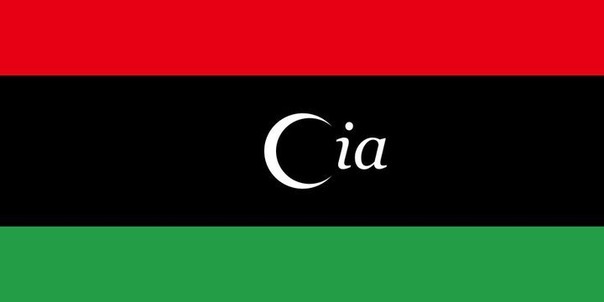 . . is being made by a foolish Government to act in the interests of other and greater powers menacing her security. In Russia’s view, Finland can have no defensible objection to carrying out the exchange of territories which Russia had asked of her unless she is allowing herself to be used by America or the Western Powers”. (G. B. Shaw, in: ‘Daily Mail’, 2 December 1939; p. 6). “In the days of the Russo-Finnish war I had been sympathetic to Finland, but I had turned against her since she came into the war against the Soviets. Russia must have security for Leningrad and its approaches. The position of the Soviet Union as a permanent naval and air power in the Baltic must be assured”. (W. S. Churchill: ‘The Second World War’, Volume 6: Triumph And Tragedy’; London; 1954; p. 318). 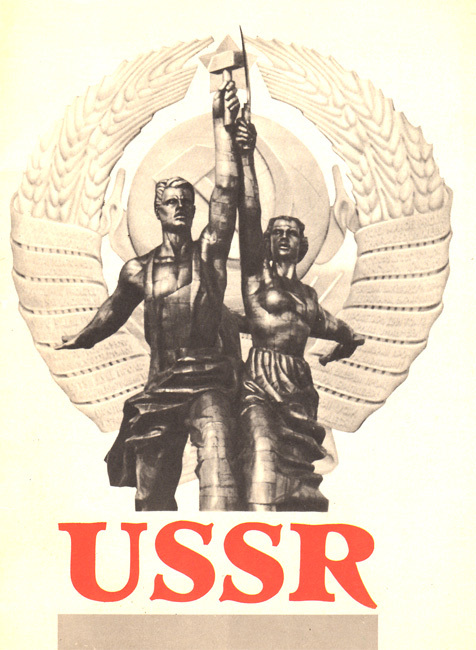 “. . the Union of Soviet Socialist Republics . . . unexpectedly attacked on the morning of November 30, 1939”. (‘The Development of Finnish-Soviet Relations . . .’; op. cit. ; p. 77). “To ask them to take the necessary measures to put an end to the aggression”. (‘The Development of Soviet-Finnish Relations . . .’; op. cit. ; p. 77). The League had taken no effective action against countless acts of aggression by Germany, Italy and Japan. But now that the charge was directed against the Socialist Soviet Union, the League sprang speedily into action. The Secretary-General responded by summoning an immediate meeting of the Assembly and Council (the outbreak of the Second World War on 23 September had produced no meeting). “It is felt that the move (for the expulsion of the USSR — Ed.) had best be made by thoroughly disinterested neutrals. The moral judgment involved would be all the more effective if the belligerents themselves confined themselves to supporting disinterested parties”. (‘Times’, 9 December 1939; p. 6). A special committee was set up to consider the Soviet-Finnish dispute. Its members were: Britain, Canada, Egypt, India, Ireland, Norway, Poland, Portugal, Siam, Sweden, Uruguay and Venezuela. 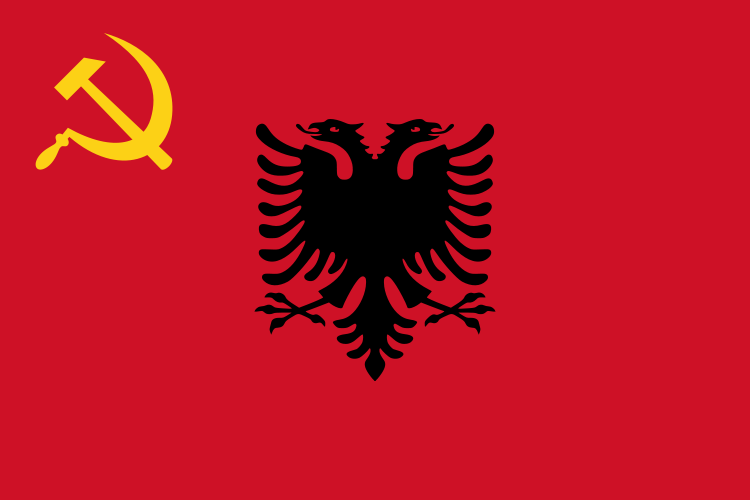 The Soviet Union and Finland –parties to the dispute — did not vote; Peru and Iran were absent, while China, Greece and Yugoslavia abstained from voting. Thus seven states — one half of the Council — voted for the expulsion of the Soviet Union. (‘News Chronicle’, 15 December 1939; p. 2). “With this division of opinion, the business of getting a unanimous vote or anything like it looked extremely precarious. But that astute and forceful presiding officer Carl J. Hambro’ . . . . managed it majestically. .
‘The Assembly will have taken note of all the declarations that have been made. I do not think, therefore, that it is necessary to take a vote by roll-call. If there are no observations to the contrary, the Assembly will vote according to the ordinary method’. ‘There being no observations to the contrary, I will ask all delegates who are in favour of the report to remain seated’. It would have taken a brave man to have risen to his feet at that moment and so proclaim himself in favour of Russia. No one moved”. (‘New York Times’, 15 December 1939; p. 15). “. 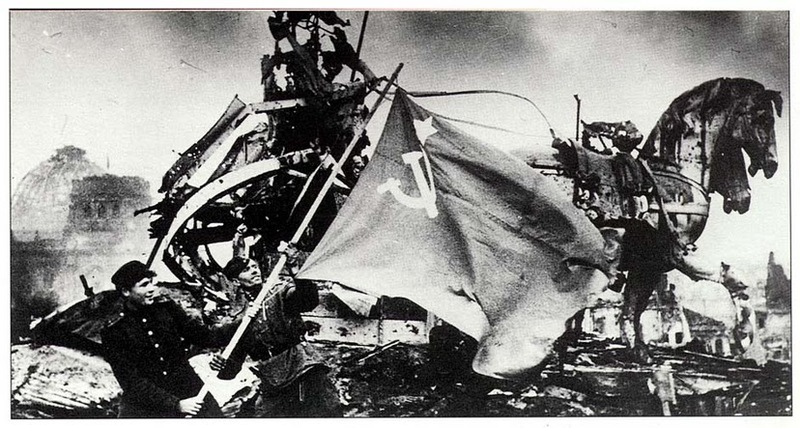 solemnly condemns the action taken by the Union of Soviet Socialist Republics”. (‘The Development of Finnish-Soviet Relations . . ‘ ; op. cit. ; p. 110). “1. Associates itself with the condemnation by the Assembly of the action of the Union of Soviet Socialist Republics against the Finnish State, and . . . . .
2. Finds that, by its act, the Union of Soviet Socialist Republics . . has placed itself outside the League of Nations”. (‘The Development of Finnish-Soviet Relations . . ‘ ; op. cit. ; p. 111). On 1 December 1939 a Provisional People’s Government of the Finnish Democratic Republic was set up at Terijoki, on Finnish territory occupied by the Red Army, with the Finnish Communist Otto Kuusinen- as its Prime Minister and People’s Commissar for Foreign Affairs. 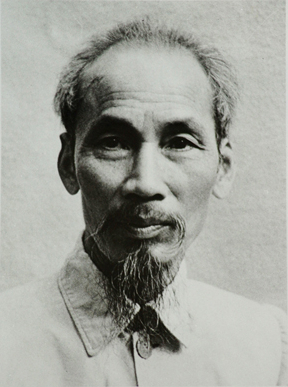 “The People’s Government in its present composition regards itself as a provisional government. Immediately upon arrival in Helsinki, capital of the country, it will be reorganised and its composition enlarged by the inclusion of representatives of the various parties and groups participating in the people’s front of toilers. The final composition of the People’s Government, its powers and actions, are to be sanctioned by a Diet elected on the basis of universal equal direct suffrage by secret ballot”. “The People’s Government of Finland regards as its primary task the overthrow of the Government of the Finnish White Guards, the rout of its armed forces, the conclusion of peace, and the ensuring of the independence and security of Finland by means of establishing lasting friendly relations with the Soviet Union”. (W. P. & Z.K. Coates: op. cit. ; p. 114-15). “The creation of a People’s Army of Finland. industrial enterprises and realisation of measures for assisting medium and petty enterprises. The realisation of measures for the complete elimination of unemployment. The reduction of the working day to eight hours, with a provision for two weeks’ summer holidays and a reduction in house rents for workers and employees. 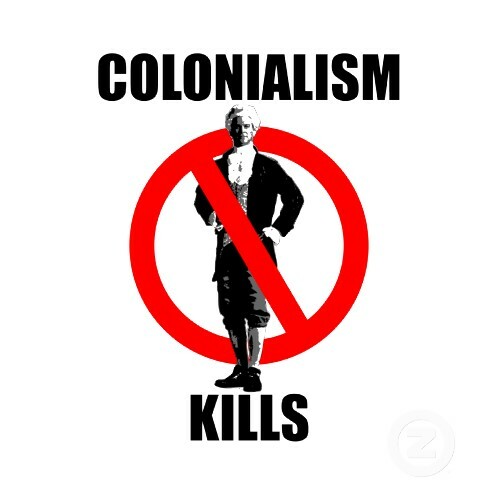 The confiscation of the lands belonging to big landlords, without touching the lands and properties of the peasants, and the transference of the confiscated land to peasants having no land or possessing small allotments. The exemption of peasants from the payment of tax. State assistance in every form for the improvement of the farms of the poor peasants, in the first place by allotting to them additional land, pastures and, when possible, also forests for their domestic needs, from lands confiscated from large landowners. The democratisation of the State organisation, administration and courts. The increase of State subsidies for cultural needs and the reorganisation of schools to ensure the possibility of attendance at schools to children of workers and other needy people; also assistance for the development of public education, science, literature and arts in a progressive spirit”. (W. P. & Z. Coates: op.Cit; p. 115). relates to the incorporation into the territory of the Finnish Democratic Republic of areas in Soviet Karelia the extent of which comes to 70,000 square kilometres. . . . On the other hand, Finland declares its readiness to effect certain adjustments of the frontier on the Karelian Isthmus, from Leningrad toward the north, ceding an area of 3,970 square kilometres, in return for which the Soviet Union compensates Finland in the amount of 120 million marks for the value of the railway inventory which is now on the Karelian Isthmus and which is to be removed to the Soviet Union. 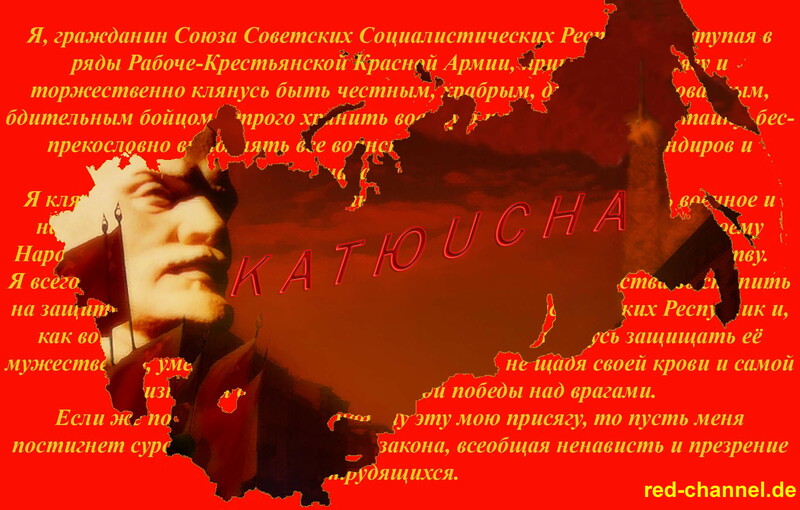 (a) to cede to the Soviet Union for a period of thirty years the Hanko Peninsula and the surrounding waters . . and a number of islands lying to the south and east . . ., for the creation there of a military and naval base such as will be in a position to defend from attack the Gulf of Finland, as a guarantee for the security of Finland and of the Soviet Union. at which time there will be granted to the Soviet Union . . the right to maintain there at its own expense a precisely defined number of land and air forces. (b) to sell to the Soviet Union the following islands in the Gulf of Finland: Suursari, Seiskari, Lavansaari, Tytarsaari, and Great and Little Koivisto; also those portions of the Rybachi Peninsula and of the Keskisaari Peninsula on the shore of the Arctic Ocean which belong to Finland; all at an agreed price of 300,000 marks. The Soviet Union and the Finnish Democratic Republic obligate themselves to furnish each to the other all aid, including military aid, in the event that any European power attacks, or threatens to attack, the Soviet Union through Finnish territory. (Under the fourth article the parties undertook to refrain from . participating in any combinations aimed against the other party to the treaty). (The fifth article:) The parties to the treaty have agreed that they will at an early date conclude a trade agreement and increase the annual exchange of commodities between the two countries considerably above the level of . . . 800 million marks. (In the sixth article the Soviet Union undertook to supply the Finnish People’s Army on easy terms with arms and other military necessities). (Treaty between Finnish Democratic Republic and Soviet Union, in: V. Tanner: op. cit. ; p. 102-03). 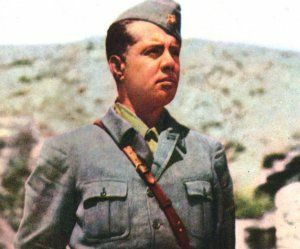 “On 22 May (1940– Ed.) a formal meeting . . launched the ‘Finland-Soviet Union Peace and Friendship Society’ — generally known as SNS. . . . . It met a genuine public demand; meetings in Helsinki and the provinces were packed out, and in only five months SNS had recruited some 35,000 paying members in 115 local branches, in the face of every kind of official obstruction. 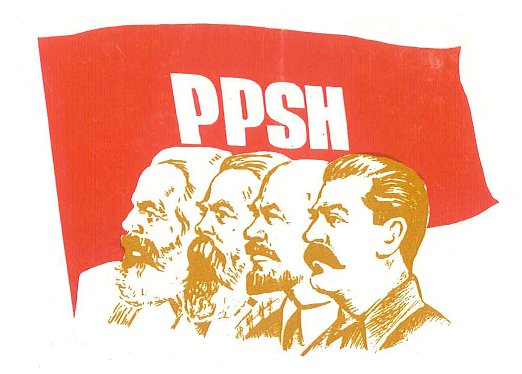 . . SKP (the Communist Party of Finland — Ed.) rightly claims that this shows the existence in Finland of a substantial body of opinion which welcomed friendly relations with the Soviet Union. On 23 December the courts declared that SNS was an illegal organisation”. (A. F. Upton: ‘The Communist Parties of Scandinavia and Finland’; London; 1973; p. 225-26, 229-30). But, when the existing Finnish government sued for peace, the Soviet Marxist-Leninists, having no desire to conquer Finland but only to make its own frontiers more secure, were happy to make peace and the Finnish Democratic Republic wound itself up. “Ordered to prepare plans for the event of a military clash with Finland”. (I). Spring: ‘Stalin and the Winter War’, in: ‘Yearbook of Finnish Foreign Policy: 1990’; Helsinki; 1990; p. 39). “A far from simple operation and one that would require not less than several months of tense fighting, even if the imperialist powers did not participate directly in the conflict”. (K. A. Meretskov: op. cit. ; p. 10506). 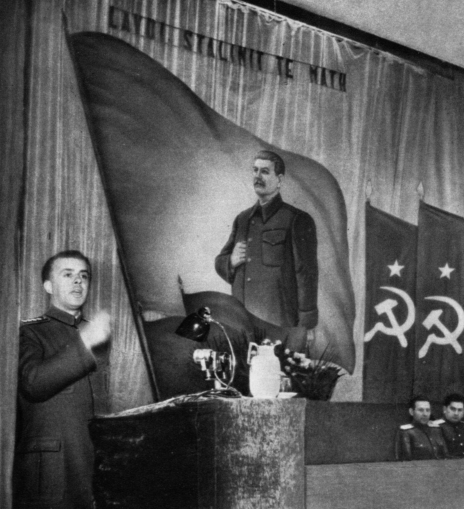 “While Mekhlis* as head of the Red Army’s Political Directorate, undoubtedly encouraged the view that the war would be a walkover, his views should not be taken as simply reflecting the outlook on the matter in November 1939 of Stalin”. (D. Spring; op. cit. ; p. 40). “A few weeks for an operation on such a scale were not enough”. (K. A. Meretskov, in: D. Spring: op. cit. ; p. 39). 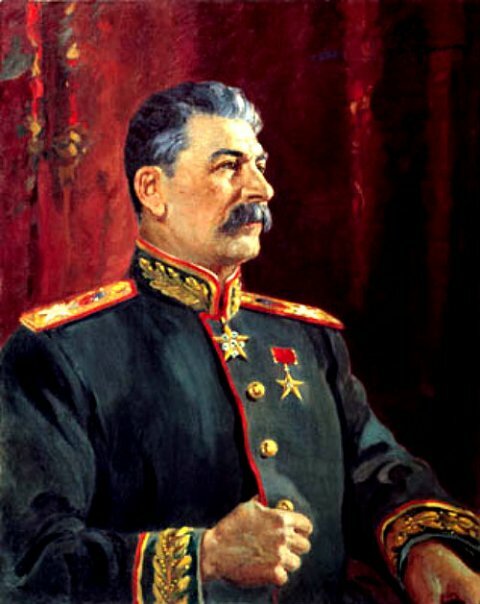 “Stalin knew that there had been arguments about the difficulty of the campaign in the Military Council. Shaposhnikov, Meretskov and Voronov had all warned that the campaign should be taken seriously”. (D. Spring: op. cit. ; p. 40). (N. S. Khrushchev: op. cit, ; p. 154). “Rearranged the entire leadership of his armies”. (E. Engle & L. Paananen: ‘The Winter War: The Russo-Finnish Conflict: 1939-40’; London; 1973; p. 121). “Put in charge of our troops in the Karelian Isthmus, replacing Meretskov”. “General Timoshenko was appointed to be in charge of the ‘southern front’, as it became known “. (E. 0’Ballance: ‘The Red Army’; London; 1964; p. 150). “Voroshilov ended up by being relieved of his duties as People’s Commissar for Defence”. (N. S. Khrushchev: op. cit. ; p. 154). “Unlike the Maginot Line, the Mannerheim positions are not a string of great fortresses, the loss of any one of which would rob its defenders of enormous strength. They are rather a series of trench and machine-gun positions ranged behind waves of anti-tank barriers made of granite blocks. Only a small part is formed of concrete gun positions and pill- boxes. The waves of defences stretch right back across the twenty miles from Summa to Viipuri”. (‘Daily Express’, 21 February 1940; p. 6). “These fortifications consisted of an advanced zone, three to eight miles deep, along the Soviet border, containing pillboxes and blockhouses, equipped with machine guns, anti-tank guns and field artillery, and guarded by tank traps, barbed wire and land mines. A second zone — the main one — ran in a wide arc from its western anchor’, Koivisto fortress. . This zone was narrower along the eastern . . . sector (about two miles) and much wider (six or seven miles) in the centre and on the gulf sector. It consisted mainly of ferro-concrete fortifications armed with heavier artillery, each fort capable of independent defensive action. The larger forts measured some 30 by 50 feet with walls five feet thick, often protected with armour plate and embedded in the ground to depths reaching 25 feet. All were protected by traps, mines, wire and trenches. The important railroad junction of Viipuri, with its five railroad lines, was protected by a special fortified zone (the third zone) some 25 miles in circumference. Further west were two separate fortified zones — Helsinki and Turku”. (W. P. & Z. K. Coates: ‘The Soviet Finnish Campaign: Military and Political: 1939-1940′; London; 1940; op. 17-18). (‘Times’, 29 February 1940; p. 8). “It is quite probable that the Red Army will never breach the Mannerheim Line in the Karelian Isthmus”. (‘Times’, 19 December 1939; p. 8). “As an old campaigner in Finland, I can state that it will be almost impossible for the Russians to break through the Mannerheim defences by a frontal attack”. (‘Times’, 13 February 1940; p. 6). (‘Observer’, 13 February 1940; p. 9). “Just now the operations in the far north around Petsamo are for the most part being conducted in darkness; while in the centre, opposite the head of the Gulf of Bothnia, daylight is only a matter of a couple of hours of twilight at midday”. (‘Times’, 22 December 1939; p. 7). “The roads were so slippery that our car skidded into the ditch three times, which delayed us considerably but gave us a small idea of what the mechanised Russian units were up against”. (‘Sunday Times’, 4 February 1940; p. 11). “Blizzards driving across the Karelian Isthmus and Lake Ladoga have come again to the aid of the Finns in their bitter and gruelling fight to maintain their positions in the Mannerheim Line. . . . Riding and skiing are reduced to the minimum, and almost every sort of transport is at a standstill”. (‘Times’, 23 February 1940; p. 8). “Finland . . . shows what free men can do. . . . They have exposed for all the world to see the military incapacity of the Red Army and Air Force. . . .
(‘Keesing’s Contemporary Archives’, Volume 3; op. cit. ; p. 3,808). Apart from political prejudice, another factor in the creation of this false picture of the Red Army’s campaign in Finland was that, in general, correspondents were kept well away from the fighting and forced to rely on official, but largely fictional, Finnish communiques. (‘Daily Telegraph’, 17 February 1940; p. 6). (‘Sunday Times’, 10 March 1940; p. 11). “Public opinion in this country has been startled by the sudden collapse of the splendid Finnish resistance. Almost up to the last we were told that the Finns could hold on till the spring. But for some time the military censorship in Finland has been much stricter than at first and these optimistic expectations were based on insufficient knowledge of the facts at the front”. (‘Daily Mail’, 14 March 1940; p. 6). “These attacks (on the ‘waistline’ of Finland — Ed.) were to draw off as many Finnish reserves as possible and to keep them occupied, and also to deceive the enemy as to the direction of the main offensive. . .
Two immediate preliminary actions were needed to operate this plan. The first was to take the forward zone of the Mannerheim Line in order to remove the artillery and air threat against the Soviet base at Leningrad and to provide space for the amassing of the forces for the great attack. The second was to take Petsamo, the only port the Finns possessed in the Arctic north, to prevent the possibility of intervention by a naval power. . . .
By December 6 this zone was occupied by the Red Army and two days later this army was in contact with the second zone, the main defence system of the Mannerheim Line. . . .
Meretskov’s plan was to make these thrusts, feigning to cut Finland in two, appear so real that the Finns would use their reserves and keep them in those areas in the north long enough for the main offensive on the Mannerheim Line to develop at the end of January. . . . The Finnish High Command at once despatched some reserves from the south to meet these threats. . The fierce six-day battle which took place confirmed the impression of the Finnish High Command that the Red Commander was shirking an issue on the Mannerheim Line itself and was trying to turn it from the north. Mannerheim sent some reserves to deal with this move of the Reds and the fighting went on in this battle for many days in February, . . . even during the great offensive of the Red Army on the Karelian Isthmus. The two divisions sent up from the reserves by the Finns were desperately needed later on”. “On February 2nd, 1940, after a heavy bombardment of artillery, supplemented from the air, the full weight of the infantry attack was launched on the Finnish right centre sector of the Mannerheim Line. . .
Tanks and troops advanced under a heavy smoke-screen. Infantry used armoured sledges, 9 feet long and 6 feet wide, with machine guns, and these were pushed forward over the snow by tanks. 130 heavy bombers and many pursuit planes cooperated. .
Day after day these attacks continued, apparently without a hitch, until the line of the Finns started to sag, to be dented, to crumble. The Red forces gave no respite to the Finns. The pressure was relentless. On February 19th the Red Army was within four miles of Viipuri, while their left wing had reached the coast of Viipuri Bay, thus cutting off the powerful coastal fortress of Toivisto”. (A. S. Hooper: ibid; p. 18, 20). “By March 7, the Red left movements were . . . reaching even Kotka, from which a railway runs north to, join the main Helsinki-Viipuri line. This threatened to cut off the southern Finnish army from its base”. (A. S. Hooper: ibid. ; p. 22). (‘Strategicus’ in: ‘Spectator’, No. 5,824 (9 February 1940); p. 171). (‘Yorkshire Post’, 20 February 1940; p. 1). “If in spite of all Finland’s efforts, the Russian masses should reach Tornea on the Swedish frontier, it is wrong to believe that they will stop there”. (‘Daily Telegraph’, 19 February 1940; p. 7). “Our Government, on its part, considers that the Soviet Union has no points of dispute with Sweden and Norway, and that Soviet-Swedish and Soviet-Norwegian relations should develop on the basis of friendship. As to rumours that the Soviet Union is demanding ports on the west coast of Scandinavia, claiming Narvik, etc., they are spread for anti-Soviet purposes and are so wild that they need no refutation”. (V. M. Molotov: ‘Soviet Peace Policy’; London; 1941; p. 63-64). The Soviet military victory over Finland was achieved in spite of substantial military aid to Finland from the capitalist world. “That articles of clothing and equipment originally meant for the British Expeditionary Force would be sent to Finland”. (‘Keesing’s Contemorary Archives’, Volume 3; op. cit. ; p. 3,868). “Export licences for the delivery to Finland of 30 Blenheim bombers were . . . granted by the British government”. (‘Keesing’s Contemporary Archives’, Volume 3; op. cit. ; p. 3,844). Substantial quantities of weapons were, in fact, supplied to Finland by the Western Powers. and equipment, clothing, respirators and tents”. (‘Keesing’s Contemporary Archives’, Volume 3; op. cit. ; p. 3,934). “No appeal that was made to us by the Finnish Government remained unanswered”. (Parliamentary Debates, 5th Series, Volume 358; op. cit. ; col. 1,835). “Aeroplanes promised, 152; actually sent, 101. Guns of all kinds promised, 223; sent, 114. Shells promised, 297,200; actually sent 185,000. Vickers guns promised, 100; all sent. Marine mines promised, 500; sent, 400. Hand-grenades promised, 50,000; all sent. Aircraft bombs promised, 20,700; sent, 15,700. Signalling equipment promised, 1,300 sets; sent, 800. Anti-tank rifles promised, 200; all sent. Respirators promised, 60,000; all sent. Greatcoats promised, 100,000; all sent. Battledress suits promised, 100,000; all sent. Anti-tank mines promised, 20,000; sent, 10,000. Ambulances promised, 48; all sent. (Parliamentary Debates, 5th Series, Volume 358; op. cit. ; p. 1,836-37). “A general licence has been granted to British subjects to enlist in the Finnish forces”. (Parliamentary Debates. 5th Series, Volume 357; op. cit. ; p. 773). ” 6,000 Swedish volunteers . . . came into action for the first time a week before the end of the war. (‘New Statesman’, Volume 19, No. 475 (New Series) (30 March 1940); p. 430). “. . . . those plans (for an Anglo-French Expeditionary Force — Ed.) were discussed and approved at a meeting of the Supreme War Council.. . . The size of the force . . . was about 100,000 men, It was heavily armed and equipped”. (Parliamentary Debates, 5th Series, Volume 358, House of Commons: London; 1940; col. 1,838, 1,839). “President Roosevelt’s cousin, Major Kermit Roosevelt, who recently joined the British Army, will shortly resign his commission in the Middlesex Regiment to take command of the British Volunteer Brigade in Finland”. (‘News Chronicle’, 29 February 1940; p. 1). “The first echelon, consisting of a Franco-British division, . . . to be despatched to Narvik on March 15. . .
All these were crack troops.. .. The second echelon would be composed of three British divisions, each of a strength of 14,000 men. . . . The combined combatant strength thus numbered 57,500 men”. (C. Mannerheim: op. cit. ; p. 385-86). “No effective expedition could arrive in Finland except by passing through Norway and Sweden”. (Parliamentary Debates, 5th Series, Volume 358; op. cit. ; col. 1,838). 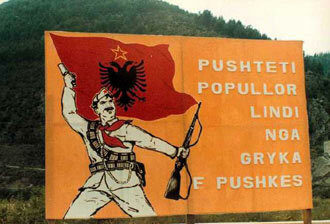 “The precious aid promised us by the Western Powers could not be realised, as our neighbours . . . would not permit the troops of the Western Powers to cross their territory”. (‘Keesing’s Contemporary Archives’, Volume 3; op. cit. ; p. 3,973). “The whole sentiment of this country demands that Finland should not be allowed to fall”. (‘Times’, 5 March 1940; p. 9). (D. N. Pritt: ‘Must the War spread?’; Harmondsworth; 1940; p. 169). Casualties in the Soviet-Finnish War were relatively high. “More than 15,000 of you who took the field will never again see your homes! . . . But . . . 200,000 of our enemies are now lying on snowdrifts, gazing with unseeing eyes at our starry sky”. (‘Times’ 14 March 1940; p. 7). (‘Keesing’s Contemporary Archives’, Volume 3; Bristol; 1940; p. 4,089). (V. M. Molotov: Speech to 6th Session of Supreme Soviet of the USSR, 29 March 1940, in: ‘Soviet Peace Policy’; London; 1941; p. 57). On 10 March a communique was issued in Helsinki stating that contact had recently been made between the (Ryti) government of Finland and the Soviet government, with Sweden acting as intermediary, and that on the invitation of the Soviet government a Finnish delegation had left Helsinki for Moscow on 6 March, consisting of Prime Minister Risto Ryti; Juho Paasikivi, General Karl Walden* and Professor Vaino Voionmaa. “Once the Russians had broken through to the outskirts of Viipuri and had crossed the ice of Viipuri Bay to obtain a firm hold on its northwestern shores, the Finnish troops had poor cover in many places and were terribly punished. This is why the Finnish High Command sent message after message to M. L. Ryti’s delegation in Moscow, urging peace immediately and at virtually any price. At that moment the Finnish defences were beginning to crack. .
A major military disaster seems to have been avoided only by the precipitate peace. Field Marshal Mannerheim’ s ‘secrecy’ policy had paid big dividends, for at that time no one in Finland save the leaders on her General Staff knew how desperate the Army’s situation had become”. (‘Daily Telegraph’, 20 March 1940; p. 7). “On March 9th I felt compelled to give the government categorical advice to conclude peace. On March 11, the delegation in Moscow received full powers”. (C. Mannerheim: ‘The Memoirs of Marshall Mannerheim”; London; 1953; p. 387). “Stalin did not participate in any of the negotiations”. (B. Engle & L. Paananen: op. cit. ; p. 134). The peace treaty ending the Soviet-Finnish War of 1939-40 was signed on 12 March 1940. “The peace terms were not, in the event, unduly harsh”. (‘Times Review of the Year’s Events’, 2 January 1941; p. vi). “The aim of the USSR pursued in the peace terms was to render her position in the Gulf of Leningrad secure and to make it impossible that Finland should ever be used (as she was in 1917-20) as a jumping-off ground for an attack on Leningrad”. (W. P. & Z. K. Coates: 1940; Ibid; p. 133). 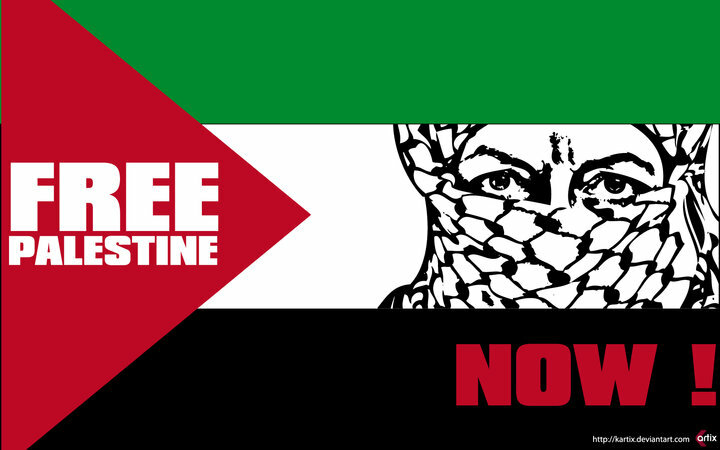 “No political demands . . . have been presented. The Soviet Union does not interfere in our internal politics. The Kuusinen government has been put on one side”. (‘Keesing’s Contemporary Archives’, Volume 3; op. cit. ; p. 3,594). “We did not believe the Russians when they declared that they wanted only certain strategical positions to secure their Baltic flank, but subsequent events have supported their contention”. (S. King-Hall: ‘King-Hall News-Letter’, No. 223 (17 October 1940); p. 2-3). “Finland will maintain her independence, and there is no tendency in official quarters to believe that Russia will cease to respect it”. (‘Daily Telegraph’, 27 March 1940; p. 5). Hostilities between the USSR and Finland shall cease immediately. The State frontier between the USSR and the Republic of Finland shall be established along a new line in accordance with which the territory of the USSR will include the entire Karelian Isthmus with the town of Viipuri and Viipuri Bay with the Islands, the western and northern shores of Lake Ladoga with the towns of Kexholm, Sortavala, Suojarvi, a number of islands in the Gulf of Finland, the territory east of Merkjarvi with the town of Kuolajarvi, part of the Peninsulas of Rybachi and Sredni — in accordance with the map appended to this treaty. Both Contracting Parties undertake mutually to refrain from any attack upon each other and not . . . to participate in coalitions directed against any one of the Contracting Parties. The Republic of Finland expresses consent to lease to the Soviet Union for 30 years, for an annual payment by the Soviet Union of 8 million Finnish marks, the Peninsula of Hanko and the waters surrounding it . . . and a number of islands adjacent to it, in accordance with the appended map, for the purpose of establishing a naval base there capable of defending the entrance to the Gulf of Finland from aggression; for the purpose of protecting the naval base, the Soviet Union is granted the right to maintain there, at her own expense, land and air armed forces of the necessary strength. . The USSR undertakes to withdraw her troops from the Petsamo Region, voluntarily ceded to Finland by the Soviet State in accordance with the Peace Treaty of 1920. Finland undertakes, as provided by the Peace Treaty of 1920, not to maintain in the waters along her coast on the Arctic Ocean naval and other armed ships, excepting armed ships of less than 100 tons displacement which Finland has the right to maintain without restriction. She also has the right to maintain not more than 15 naval and other armed ships of a tonnage not exceeding 400 tons each. As provided in the Treaty of 1920, the Soviet Union and her citizens are granted the right of unrestricted transit across the Petsamo Region to Norway and back. The Soviet Union is granted the right to establish a Consulate in the Petsamo Region. Freights in transit across the Petsamo Region from the USSR to Norway, as . . . from Norway to the USSR, are exempted from inspection and control, excepting only such control as is necessary for regulating transit communications. .
Citizens of the USSR travelling across the Petsamo Region to Norway and back from Norway to the USSR have the right of unrestricted transit passage. .
Soviet unarmed aircraft have the right to maintain an air service between the USSR and Norway across the Petsamo Region. . The Government of Finland grants the Soviet Union the right of transit of goods between the USSR and Sweden, and with the aim of developing this transit along the possible railway route, the USSR and Finland find it necessary to build, if possible in the course of 1940, each party on its territory, a railway line connecting the town of Kandalaksha with the town of Kemijarvi. (Soviet-Finnish Peace Treaty of 1940, in: U. P. & Z. Coates: op. cit. ; p. 168-70). “The meaning of the war . . . in Finland . . . lay in the necessity for safeguarding the security of the north-western frontiers of the Soviet Union and above all of the safeguarding of the security of Leningrad. . The Soviet Union smashed the Finnish Army and having every opportunity of occupying the whole of Finland, did not do so and did not demand any indemnities for her war expenses, as any other power would have done, but confined her demands to the minimum. We pursued no other object in the Peace Treaty but that of safeguarding the security of Leningrad, Murmansk and the Murmansk railway”. (V. M. Molotov: Speech to the 6th Session of the Supreme Soviet of the USSR, in: ‘Soviet Peace Policy’; op. cit. ; p. 52-53. 62). As, during 1944, the German army was forced into retreat from the occupied territories, so the pressure for peace with the Soviet Union grew in Finland. (Keesing’s Contemporary Archives”, Volume 5 Op. cit. ; p. 6,361). However, on 7 September 1944 a Finnish delegation — consisting of Prime Minister Hackzell, pefence Minister General Rudolf Walden, Chief of Staff General Erik Heinrichs, and Lieutenant-eneral Oscar Enckell — arrived in Moscow to negotiate armistice terms. The negotiations began on 14 September and were concluded on 19 September, when the armistice was formally signed. 12. Finland to collaborate with the Allies in apprehending and bringing to trial war criminals. . . .
22. Finland immediately to dissolve all Fascist and pro-Fascist organisations, whether political, military or para-military, . . . and not to permit their existence in the future”. (‘Keesing ‘s Contemporary Archives’, Volume 5; p 6,720). “The Russian peace terms were warmly welcomed in London and Washington for their moderation”. (‘Keesing ‘s Contemporary Archives’, Volume 5; op. cit; p. 6,360). ” . when the Germans opened hostilities by attacking the Finnish garrison on the island of Suursari (Hogland) in the Gulf of Finland”. (‘Keesing’s Contemporary Archives’, Vo1ume 5; op. cit. ; p. 7,263). Later in September 1945, a special court for the trial of war criminals was set up, and on 6 November nine prominent Finnish politicians, including Ryti and Tanner, were arrested. (‘Keesing’s Contemporary Archives’, Volume 5 ; op. cit. ; p. 6,844). “Either of promoting the entry of Finland into the war in 1941, or of preventing the conclusion of peace, or both”. (‘Keesing’s Contemporary Archives’, Volume 5 ; op. cit. ; p. 9,341). All the accused were found guilty and sentenced to terms of imprisonment. On 10 February 1947 the Peace Treaty between Finland and the Allied Powers was signed in Paris. “that Marshal Stalin, in a letter to President Paasikivi, had proposed the conclusion of a mutual assistance pact between Finland and the USSR”. (‘Keesing’s Contemporary Archives’, Volume 6; p. 9,158). The proposal was accepted by the Finnish government on 8 March 1948, and the pact was signed on 6 April 1948. (E. O’Ballance: op cit. ; p. 152). “The strategical plan . . . was reasonably sound. .
Mass assaults were continually going on night and day. To keep this up for four weeks . . . was in itself an extraordinary performance. . The Red Army soldier came out of this campaign magnificently, and his bravery, his endurance and his fortitude in the face of deadly fire, on short rations and under extreme climatic conditions was amazing. He had warm clothing (contrary to what is frequently alleged”. (E. O’Ballance: op. cit. ; p. 152, 153, 154). “General Meretskov’s plan, well conceived and boldly executed, was on a scale worthy of the past great masters of the art of war”. (A. S. Hooper: ‘The Soviet-Finnish Campaign’; London; 1940; p. 24). (‘Tribune’, No. 168 (15 March 1940); p. 9). “Those foreign commentators who stated that Stalin had made a fatal mistake in Finland have been proved wrong”. (‘News Chronicle’, 14 March 1940; p. 2). “The storming of the ‘Mannerheim Line’ was regarded as a model of operational and tactical art. Troops were taught to overcome the enemy’s protracted defence by a gradual accumulation of forces and a patient gnawing through of breaches in the enemy’s fortifications”. (S. S. Biriuzov: ‘The Lesson Learned too well’, in: S. Bialer (Ed. ): op. cit. ; p. 137). “The Russians are reported to have shown considerable tactical skill in managing their tanks”. (‘Daily Telegraph’, 14 February 1940; p. 1). “The Russians had experimented intelligently themselves, introducing such new devices as armoured sleighs, three-storeyed dug-outs and dummy encampments to draw bombing aeroplanes to anti-aircraft guns. . .
(‘Times’, 18 March 1940; p. 7). “There (on the Isthmus — Ed.) the Russian divisions had fought with a courage which has rarely been equalled by Russian soldiers in this century”. (‘Daily Telegraph’, 6 March 1940; p. 1). “Informed circles in Moscow state that Meretskov and his entire staff were shot soon after General Shtern arrived on the Finnish front from the Far East”. (‘Daily Herald’, 23 February 1940; p. 6). “Decorations awarded today suggest that the Soviet campaign was conducted by a staff presided over by General Meretskov. (‘News Chronicle’, 23 March 12940; p. 2). “In strictly strategic terms, as far as Stalin was concerned. the Winter War had been a success. It had been brief; it had not spilled over into the larger conflict, . . . and, above all, had achieved its purpose, The northern approaches to Leningrad were now secure and the USSR controlled access into the Gulf of Finland”. (A. Read & D. Fisher: op. cit. ; p. 416).